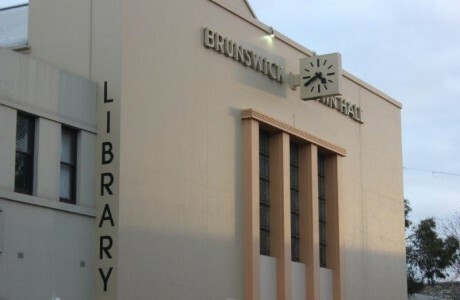 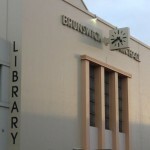 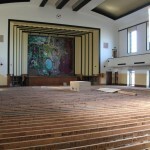 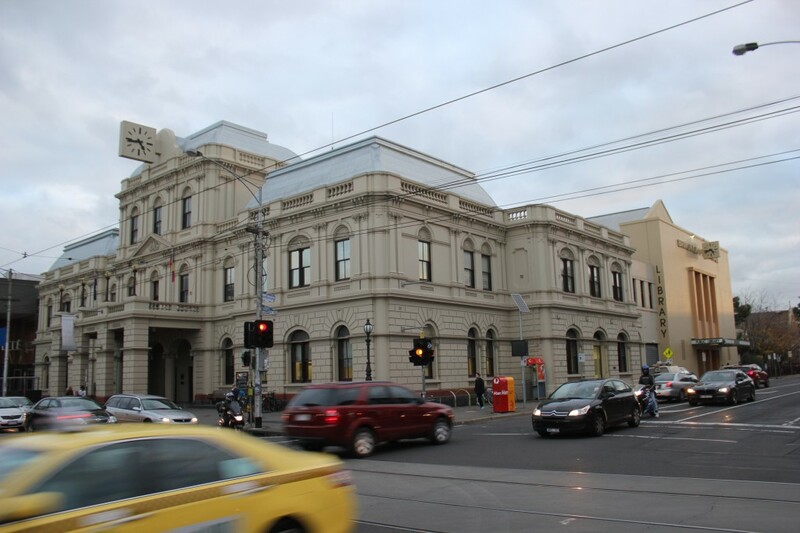 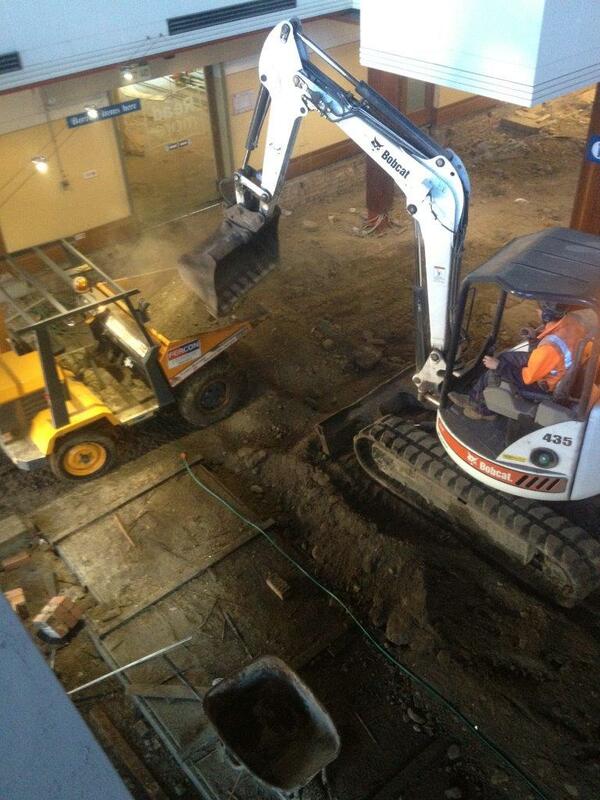 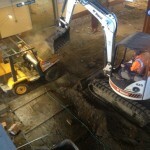 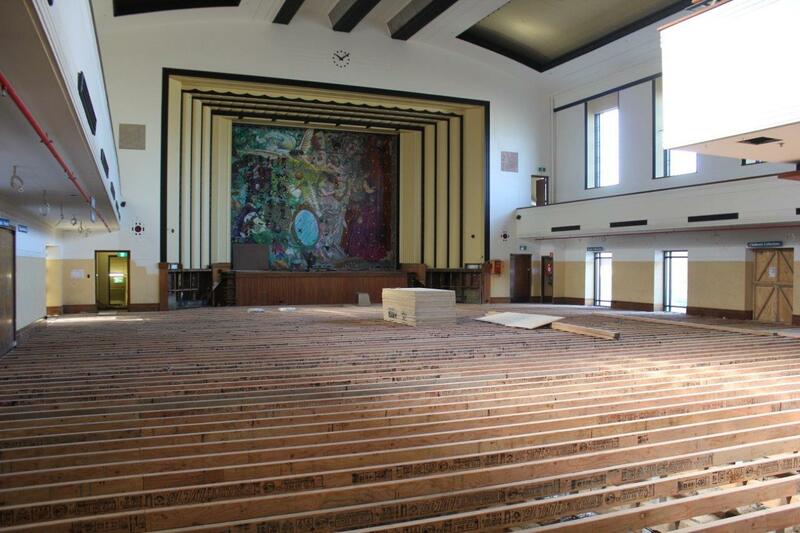 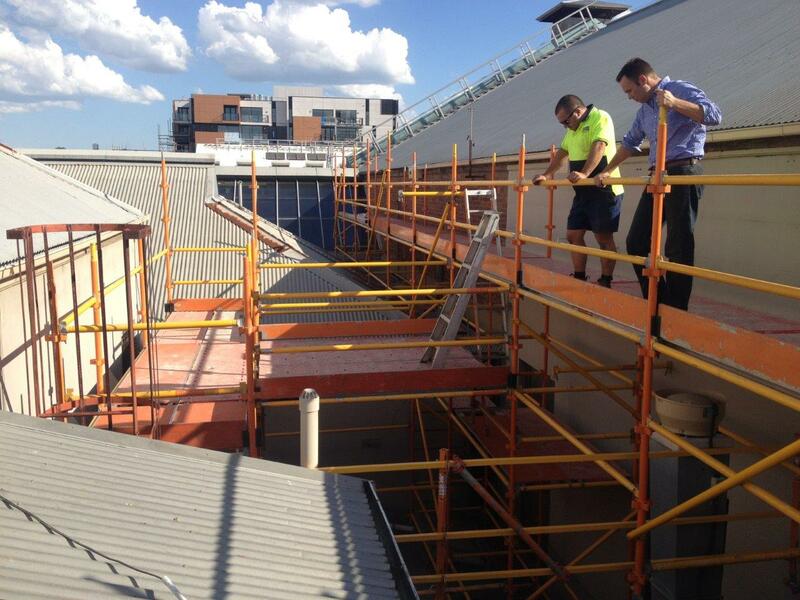 Structural remediation and refurbishment works to the Brunswick Town Hall and Library. 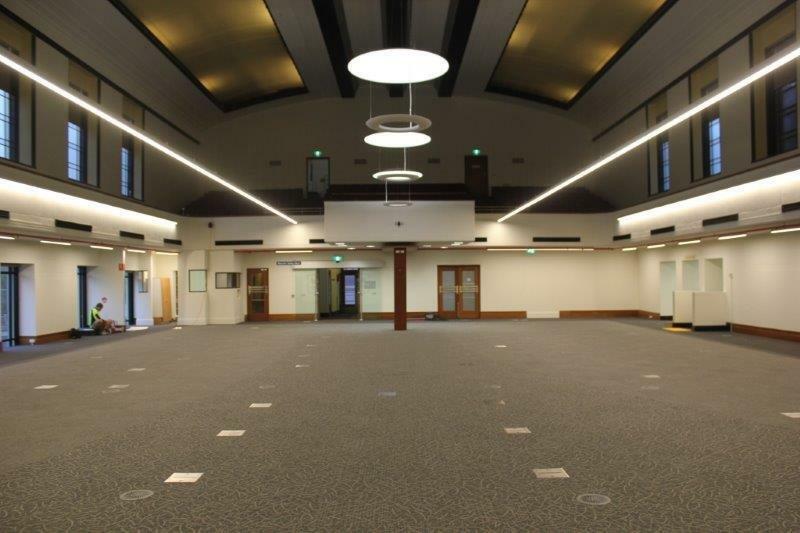 Works included underpinning of the perimeter walls, removal and replacement of 1200m2 structural flooring, refurbishment of toilet and amenity facilities, staff offices and library interior. 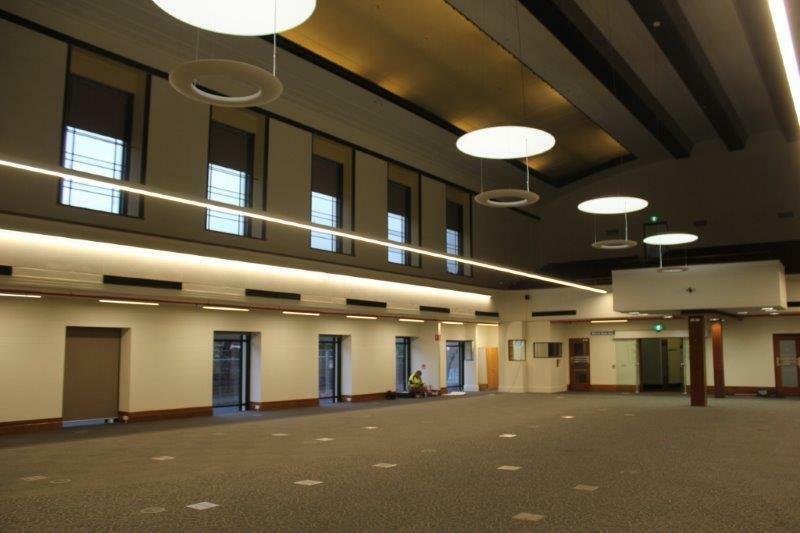 The construction of new offices, training and meeting rooms along with architectural lighting works and remediation of the existing heritage facade was also completed as part of this project. 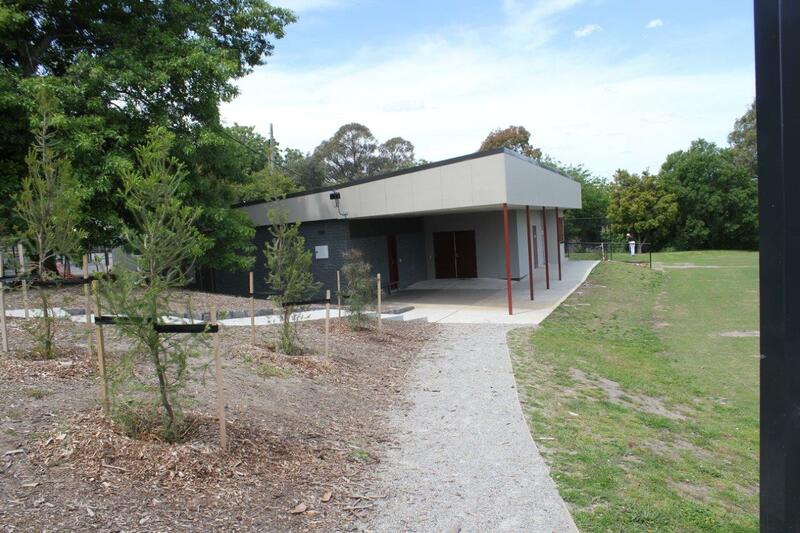 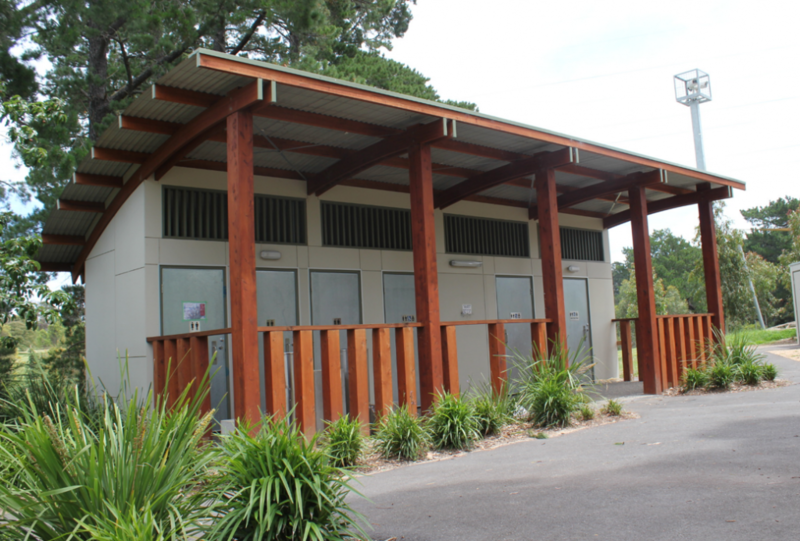 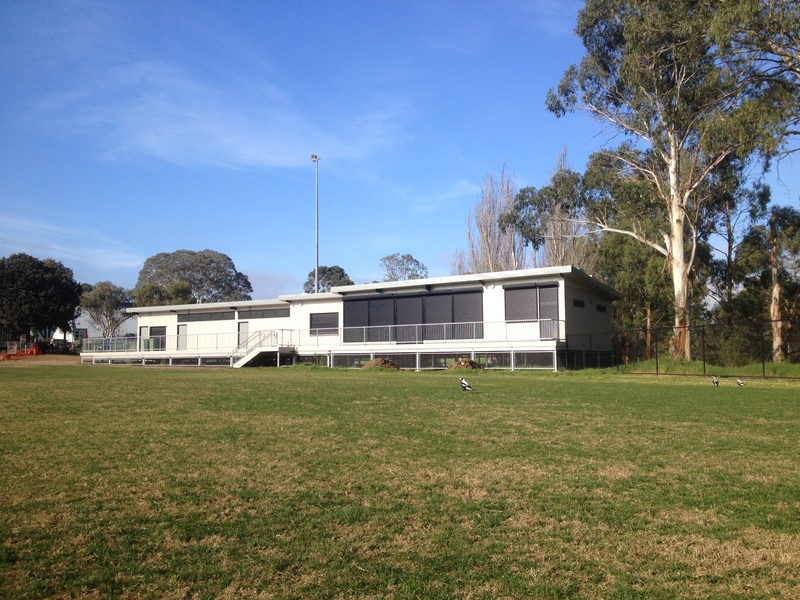 Fercon was awarded the contract for the staged extension and refurbishment of the CH Sullivan Reserve Pavilion in Reservoir by the Darebin City Council. 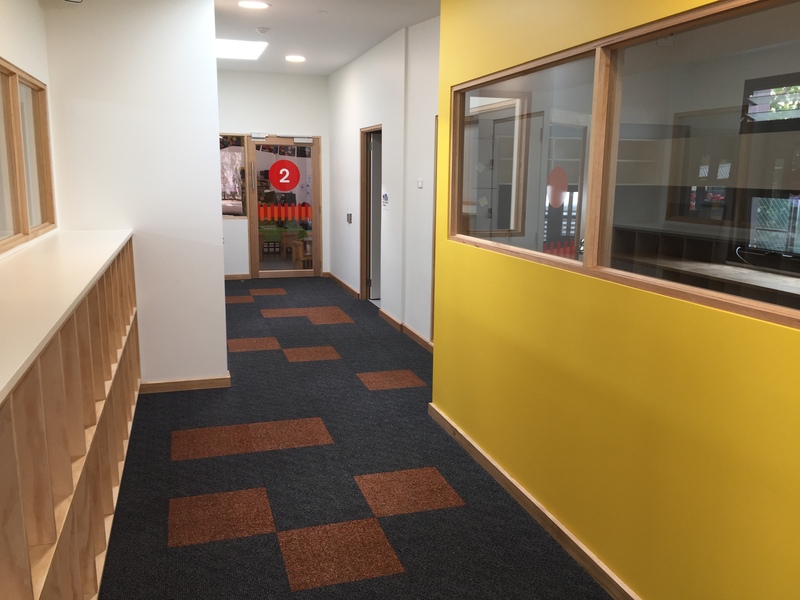 The first stage of the project included the extension works which provided room for new new offices, social rooms, kitchen / bar facilities, store rooms and wet areas. 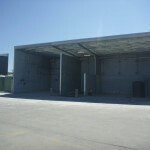 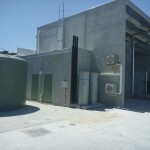 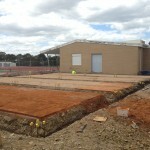 Works also included the construction of new external storage spaces. 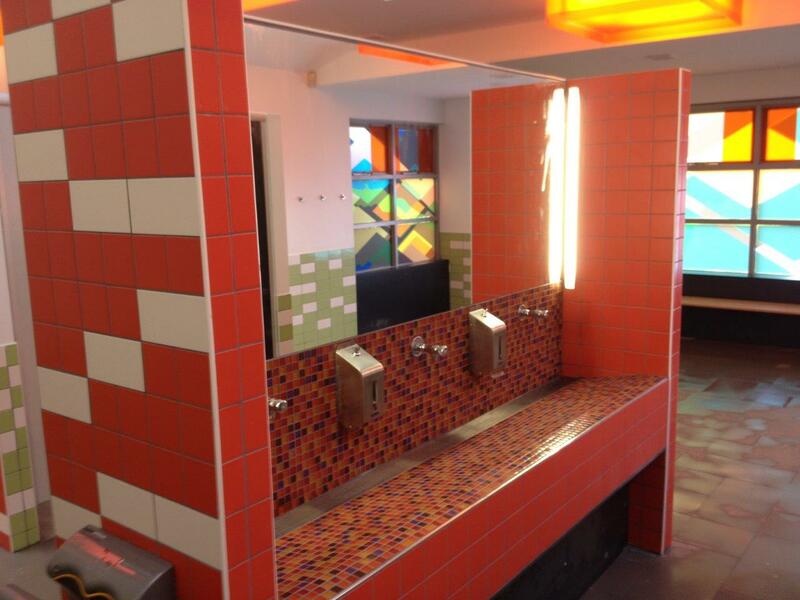 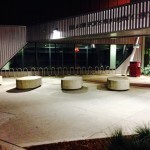 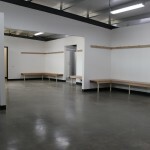 The second stage involved the refurbishment of the existing change rooms, amenities, and storage spaces, as well as upgrades to the public amenities and accessibility. 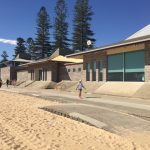 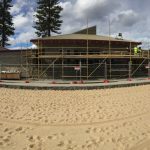 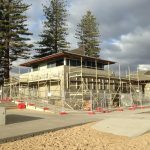 Works also include a new cold water tap-in for a new external fire hydrant, upgraded storm water drainage system, as well as the removal of a significant amount of asbestos from the existing pavilion. 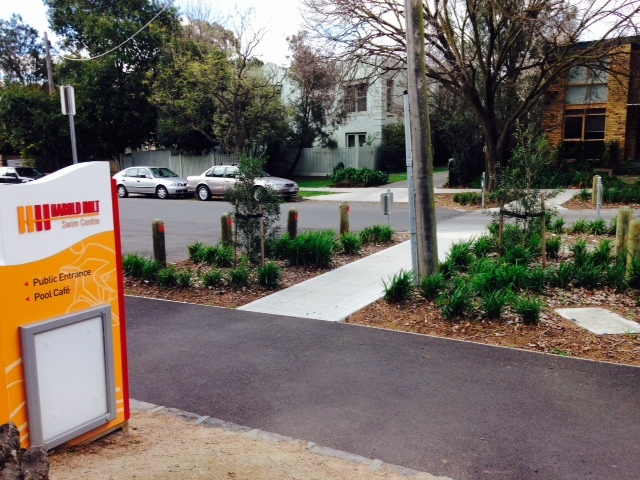 Construction of a new asphalt footpath and surrounding landscape works running through Read Gardens and along Cookson Street, Camberwell. 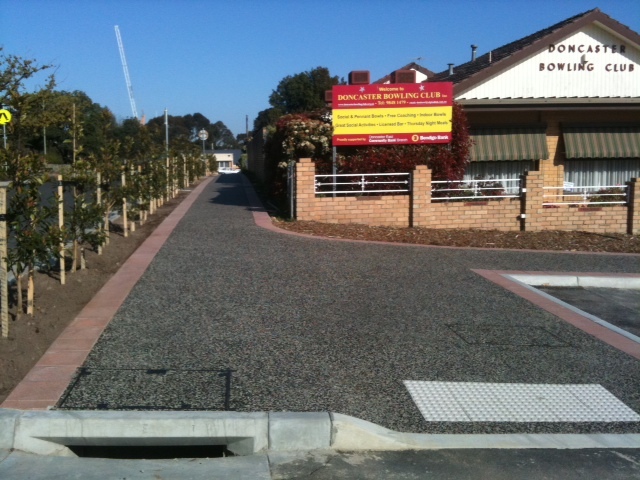 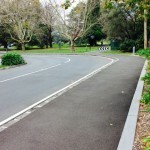 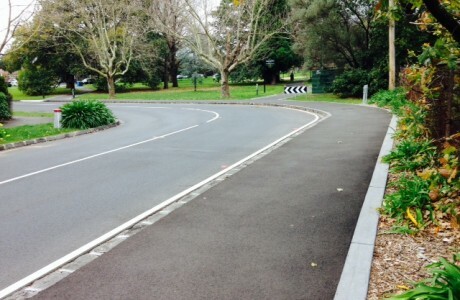 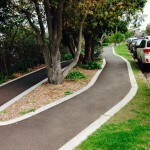 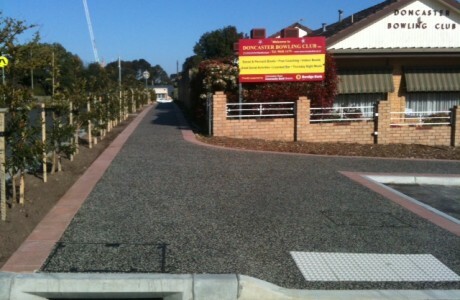 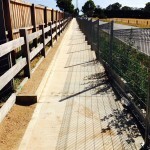 Fercon’s works comprised of 900 metres of concrete edge strip outlining the 1,100m2 of asphalt footpath, 1,200m2 of detailed mulching and landscaping and drainage construction. 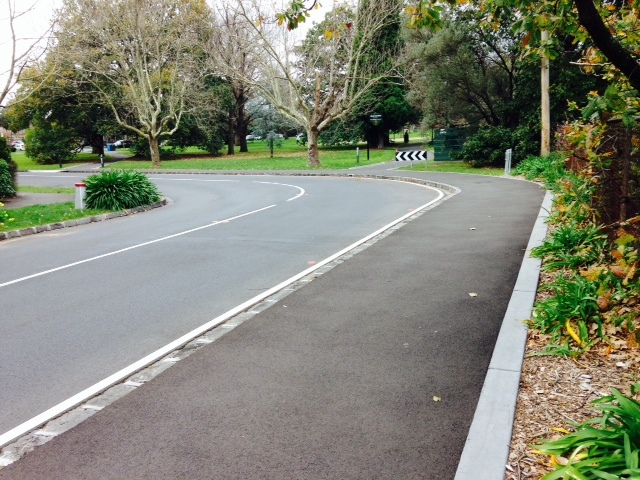 Fercon also reconstructed the external works including 1,400 metres of bluestone kerb and channel in preparation for a new asphalt road surface. 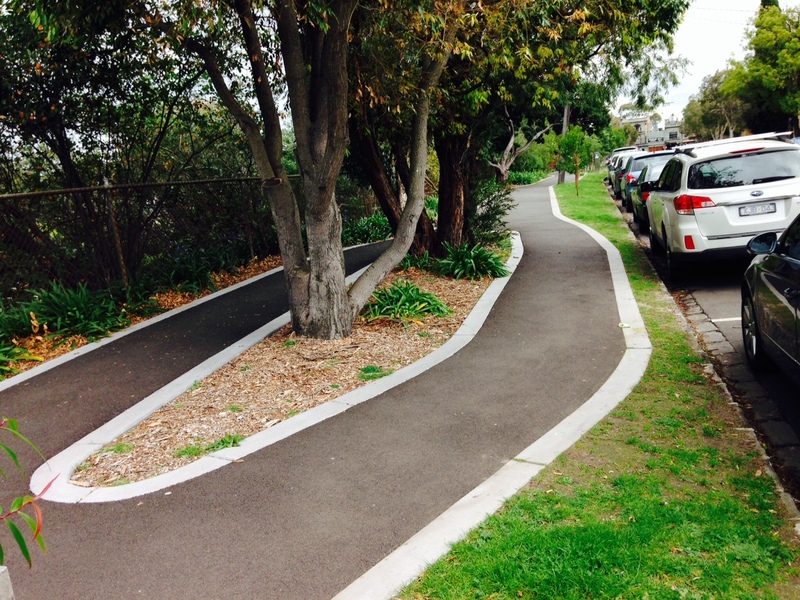 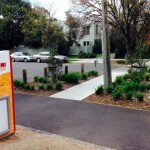 The construction of the new footpath provides a new direction for members of the public accessing Camberwell Train Station or the heritage listed Read Gardens. 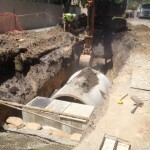 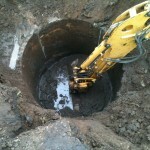 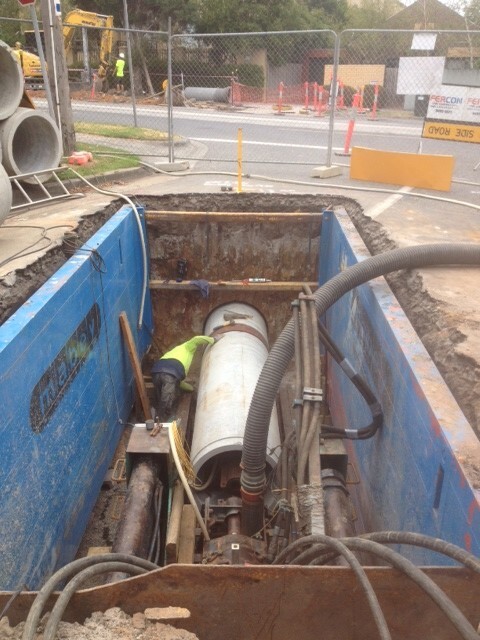 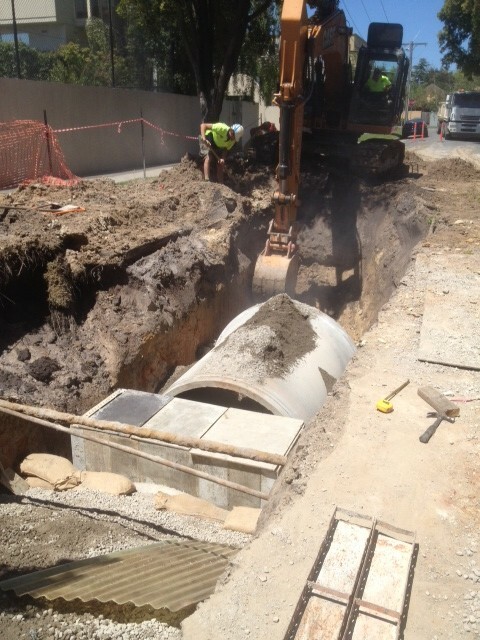 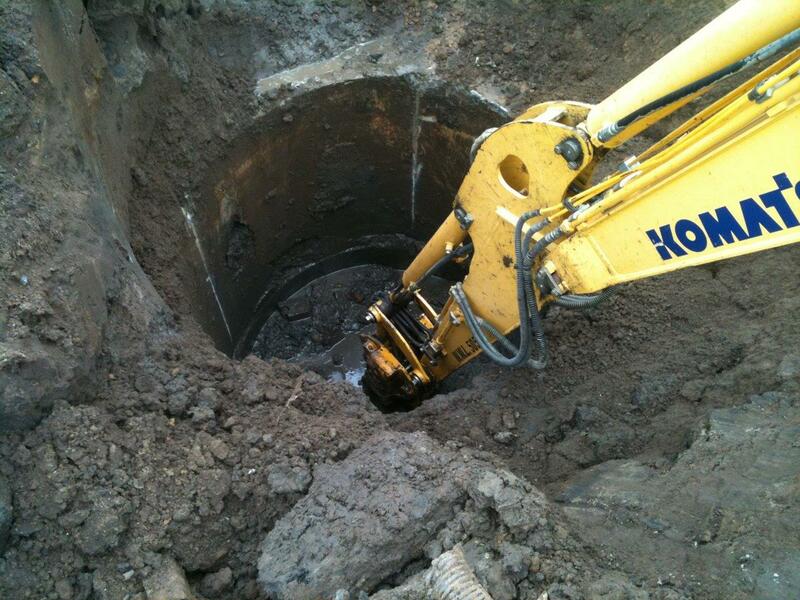 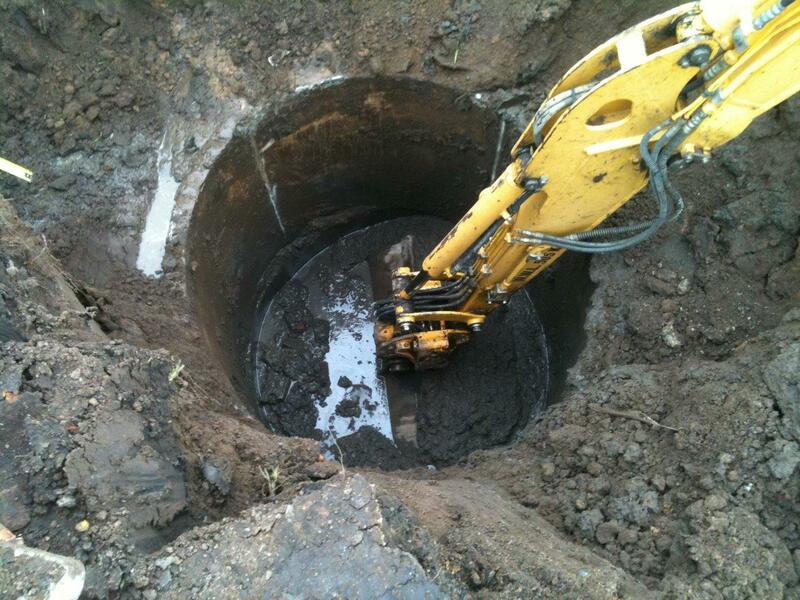 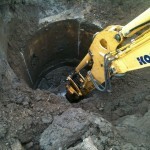 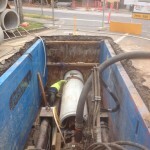 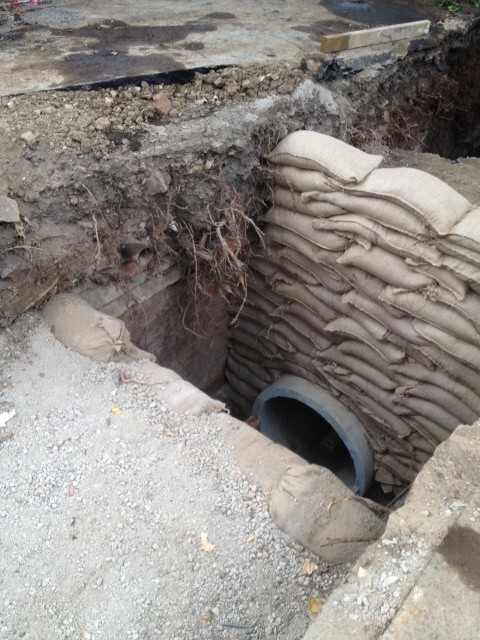 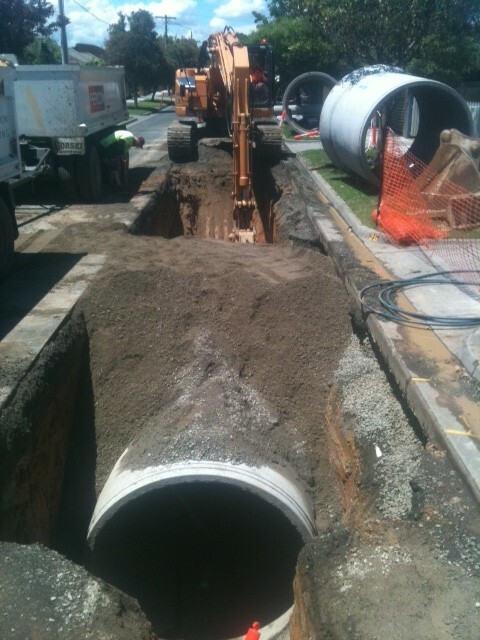 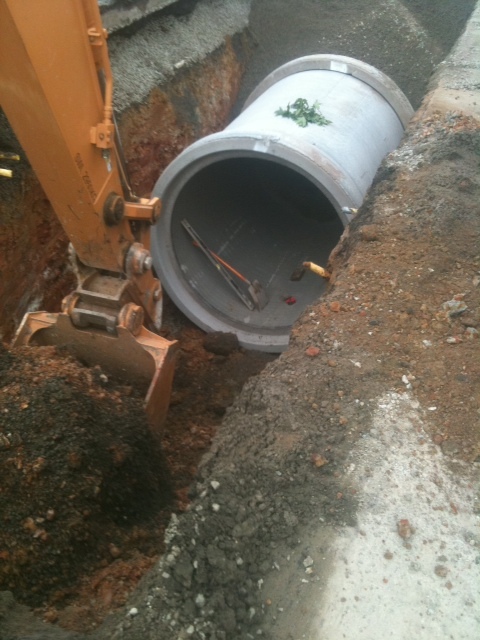 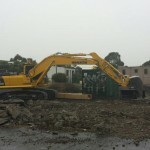 Construction of a new stormwater drainage supply network in Craddock Ave & Keverell Rd, Caulfield North. 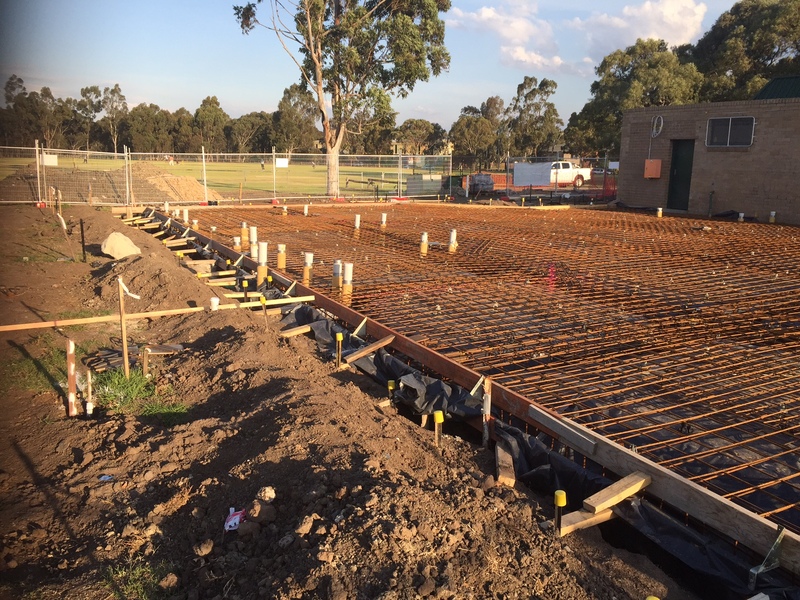 Fercon has undertaken the construction of a new retention system with the Glen Eira precinct to manage flood control by temporarily storing excess stormwater runoff and discharging at a rate to not exceed the capacity of the downstream channel. 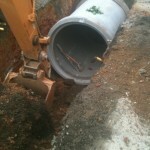 On completion of drainage construction Fercon also reconstructed the full depth of both roads. 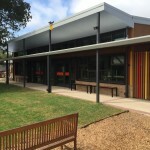 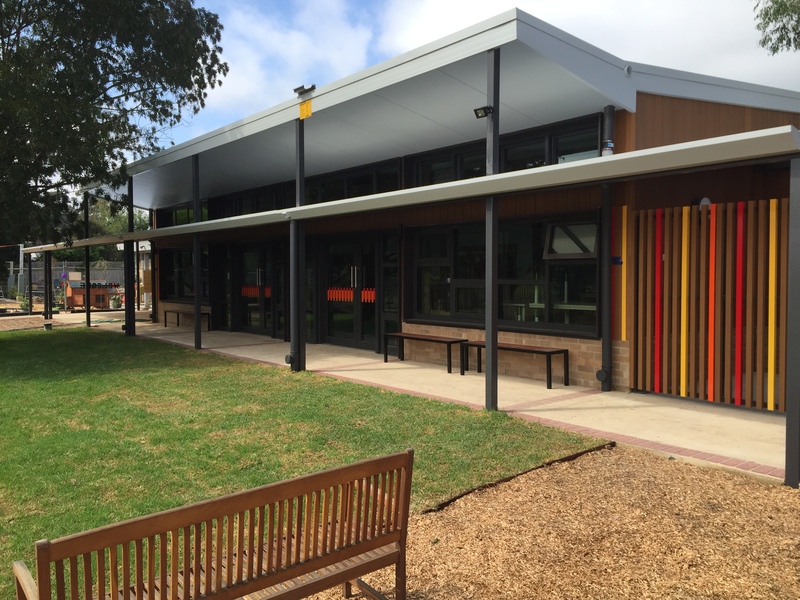 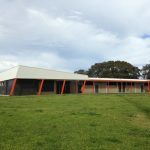 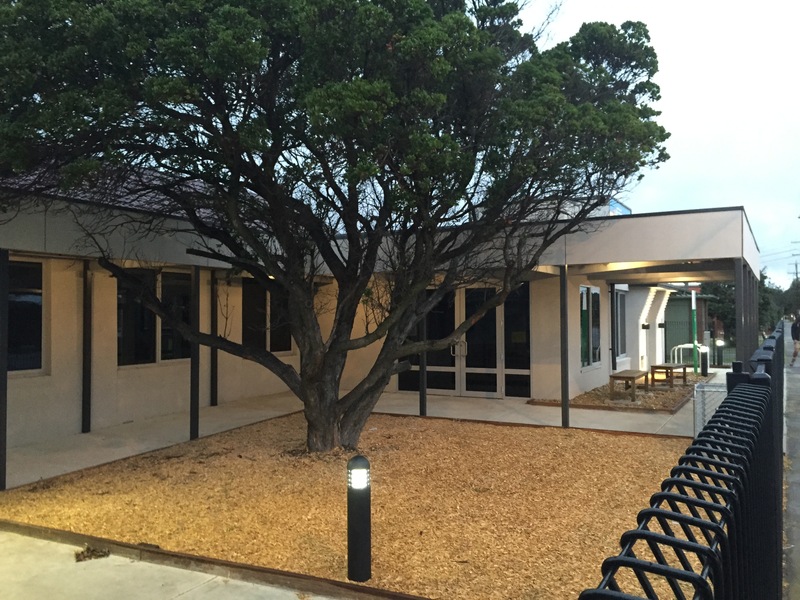 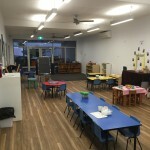 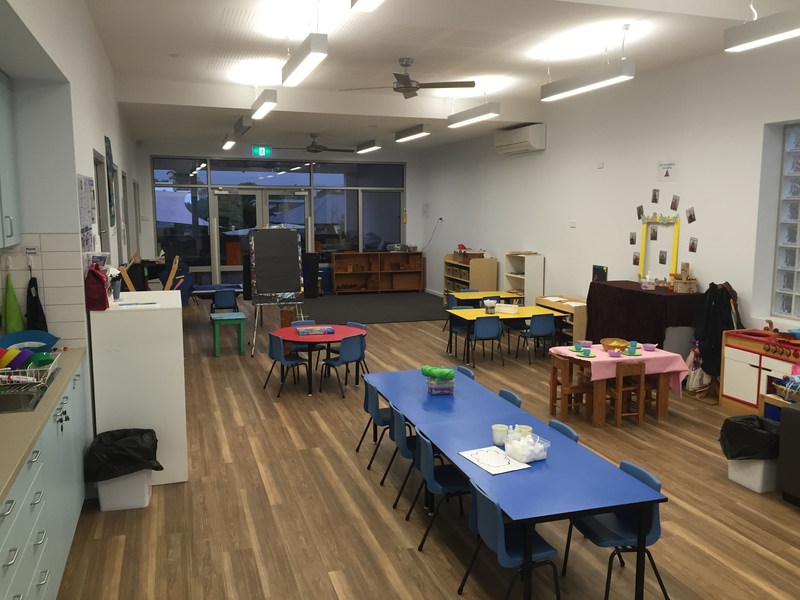 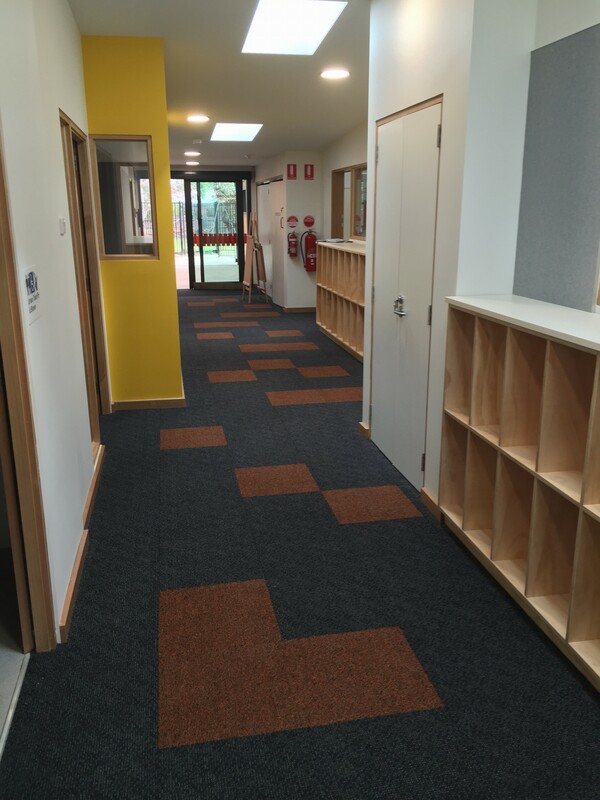 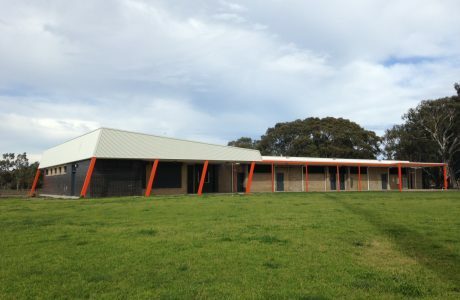 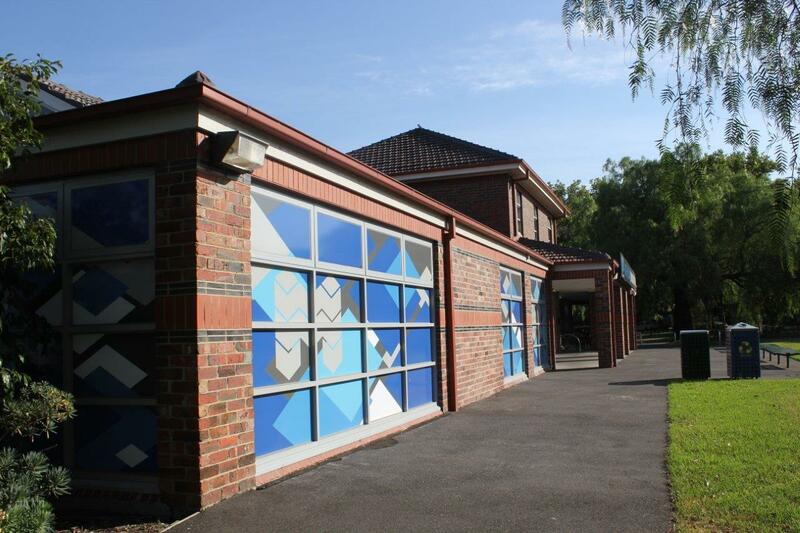 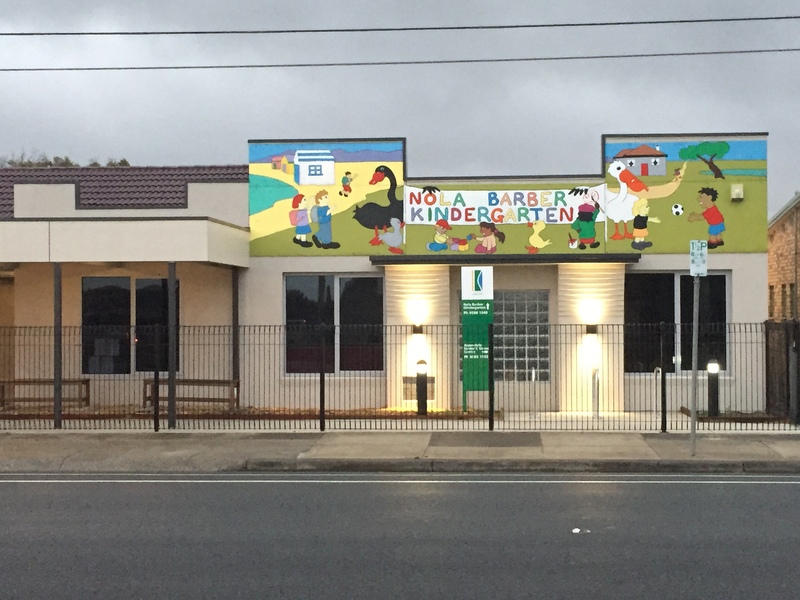 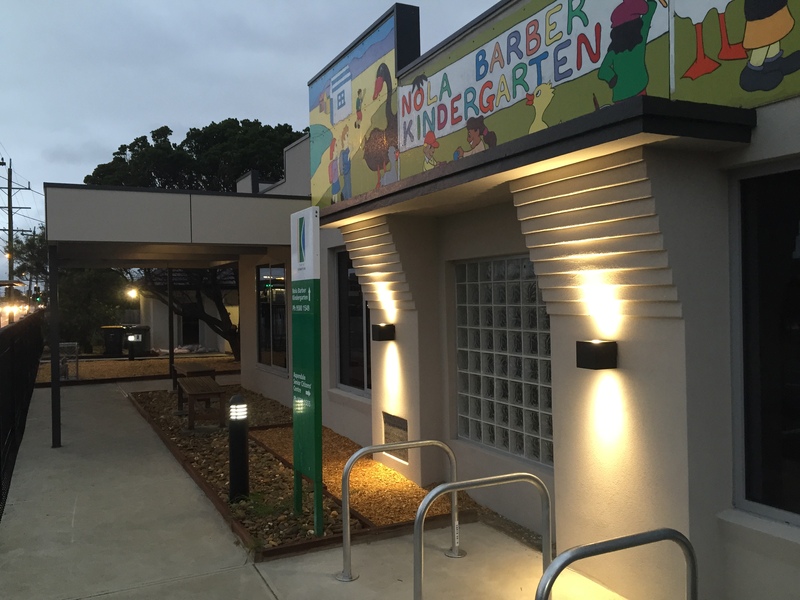 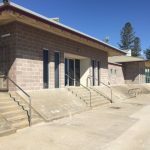 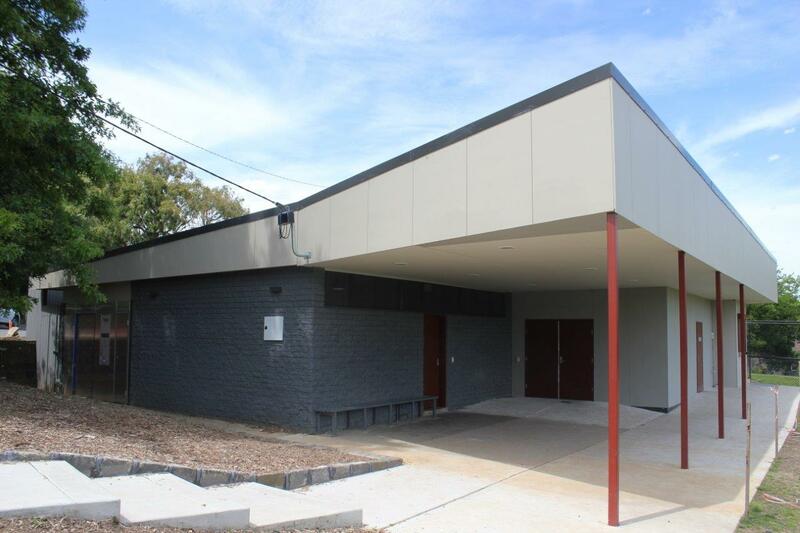 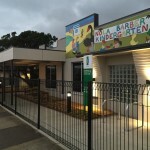 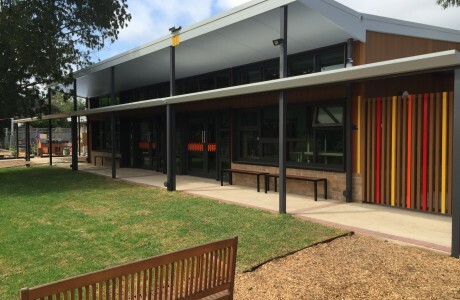 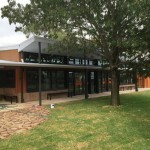 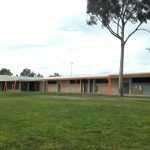 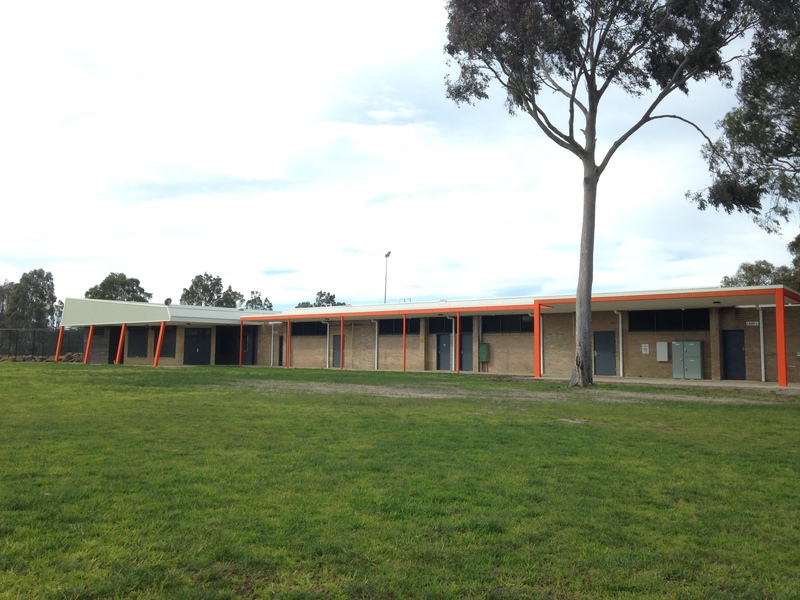 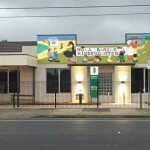 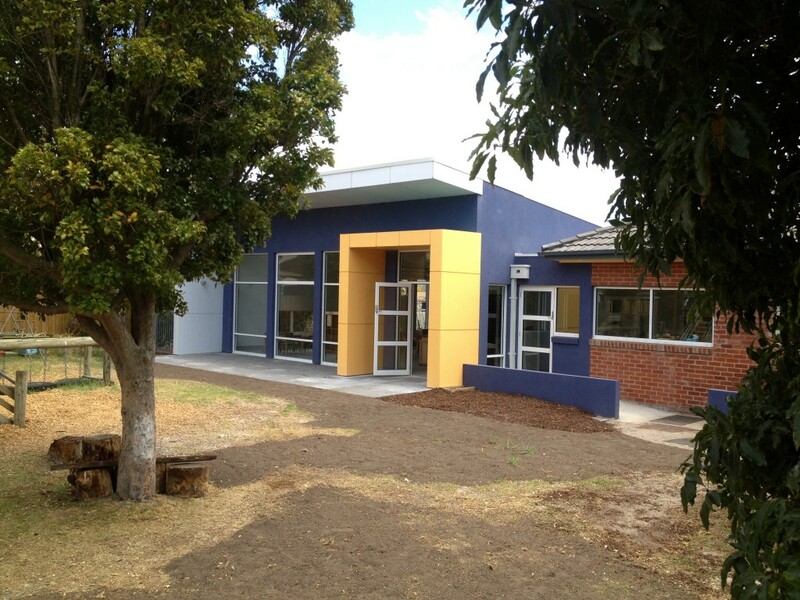 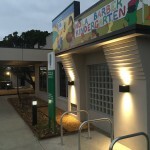 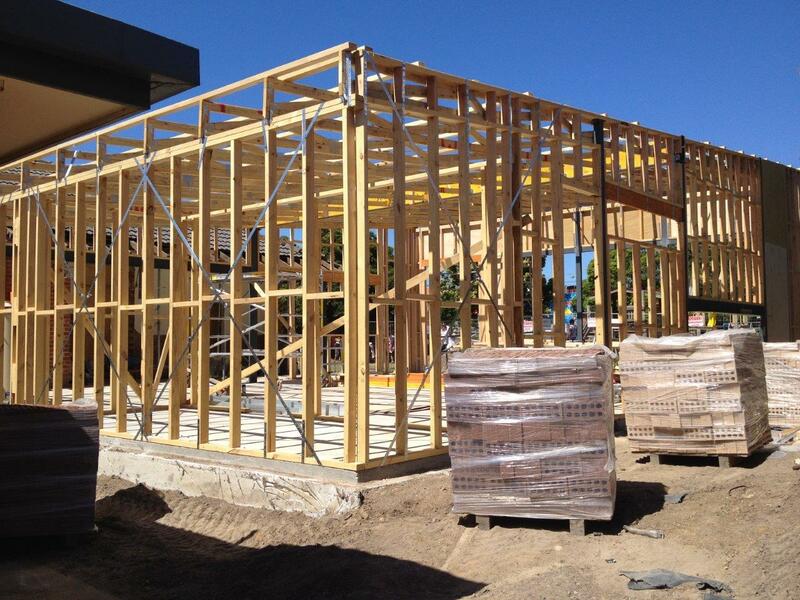 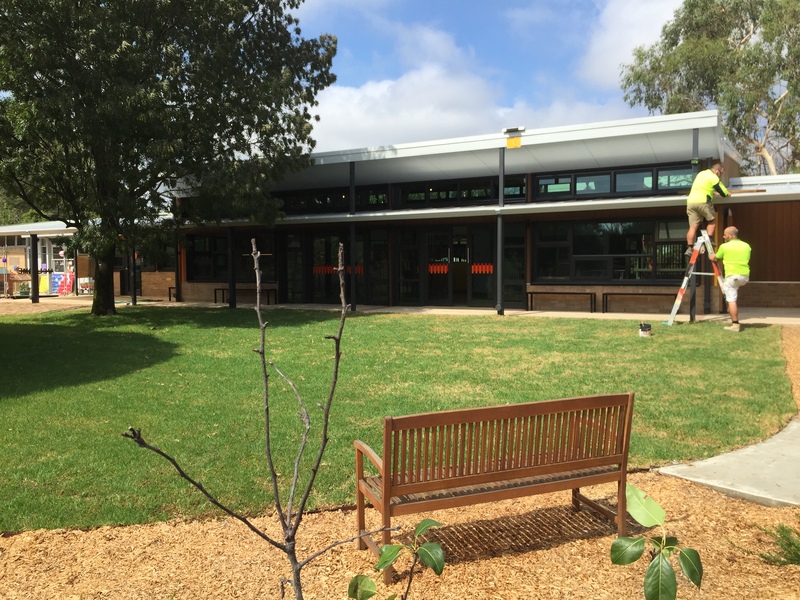 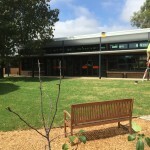 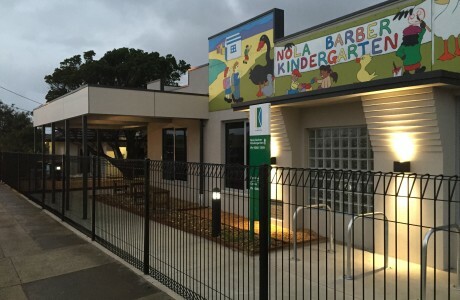 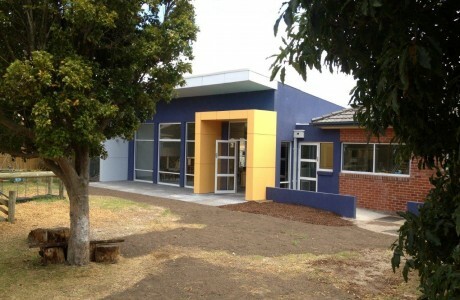 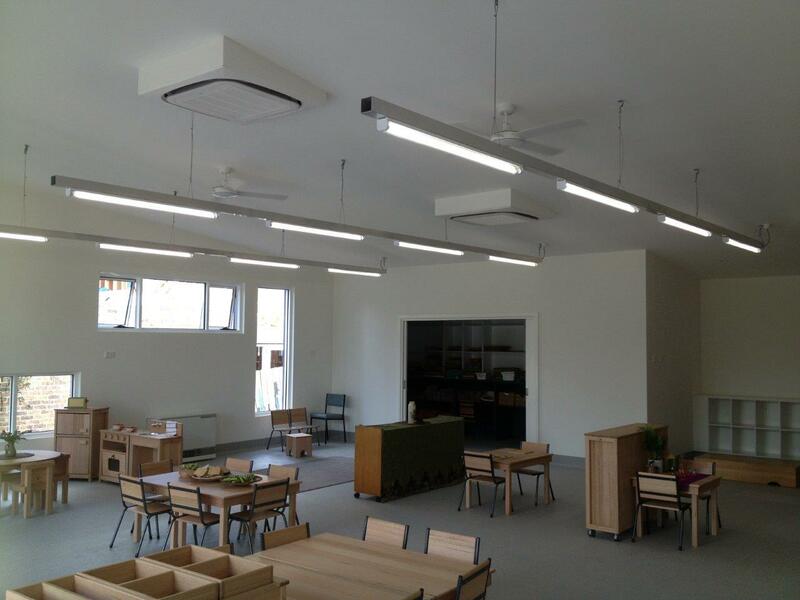 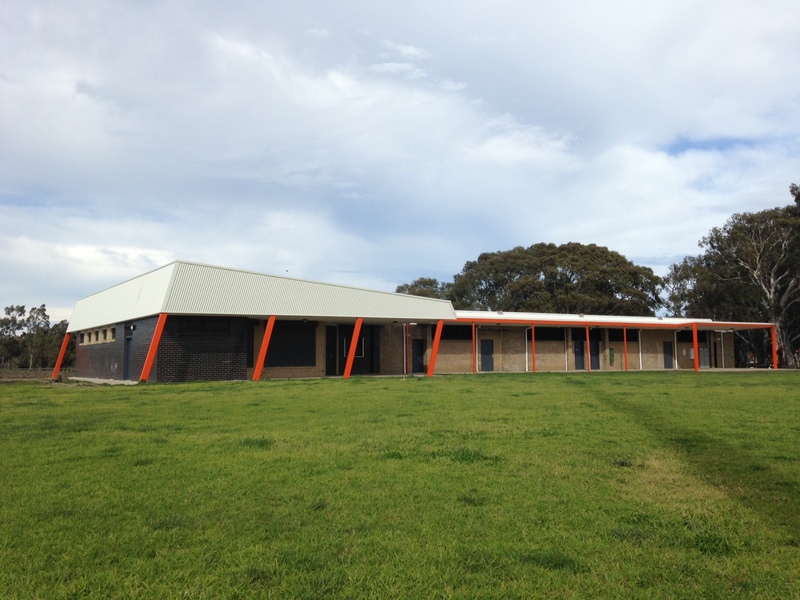 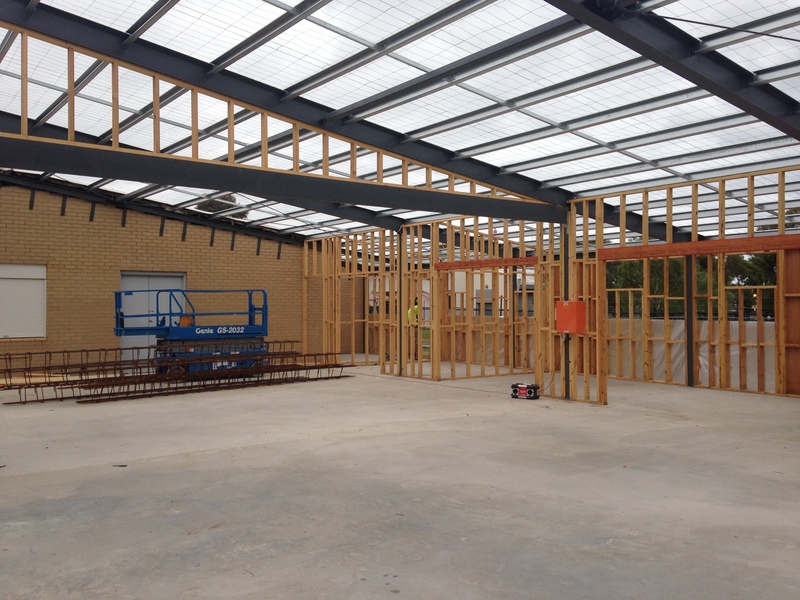 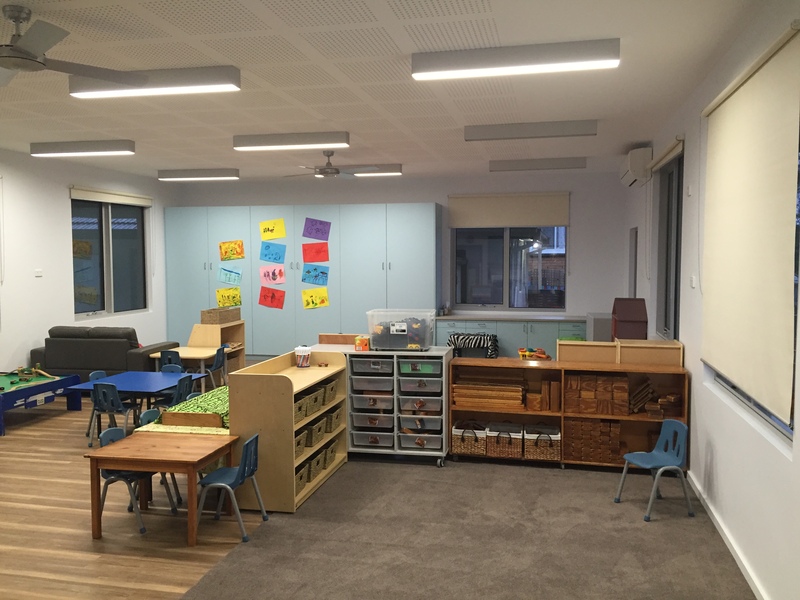 Fercon was engaged by Frankston City Council to carry out the staged extension and refurbishment of the Delacombe Park Pre-School in Frankston South. 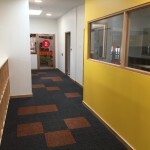 Works included the creation of new children’s room, office spaces, new amenities, new landscaping works, as well as the refurbishment and alterations to the existing building. 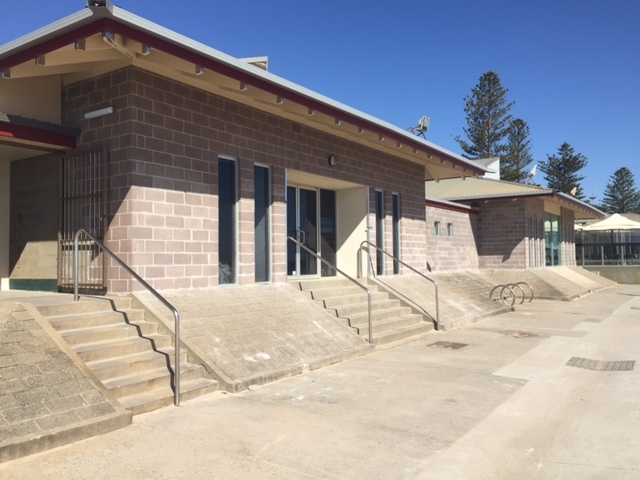 The works also included upgrades to the incoming services including water, gas and electricity, which required significant coordination with Council as well as the pre-school to ensure that these works did not disrupt the day-to-day operations of the facility. 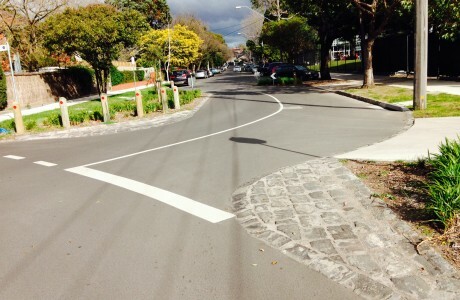 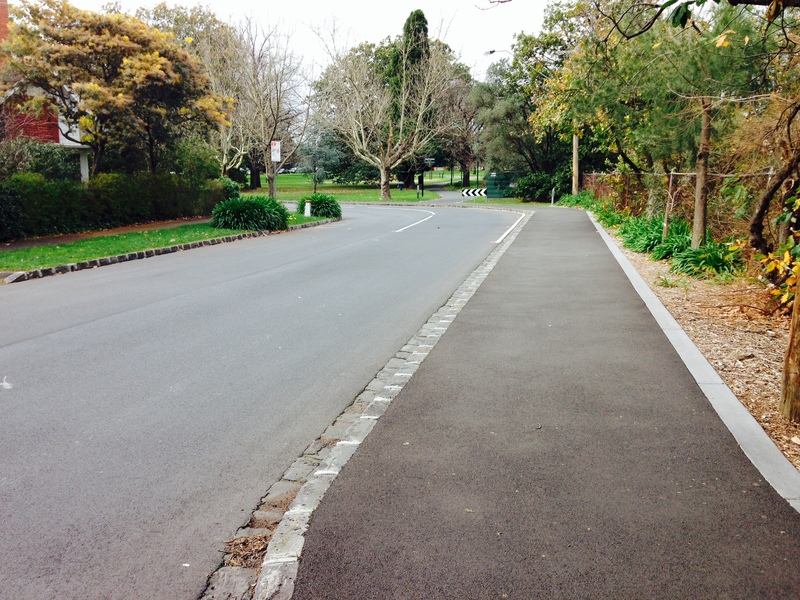 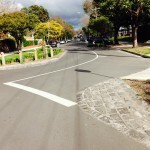 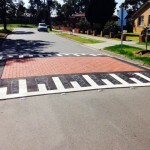 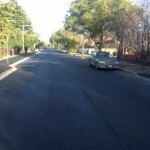 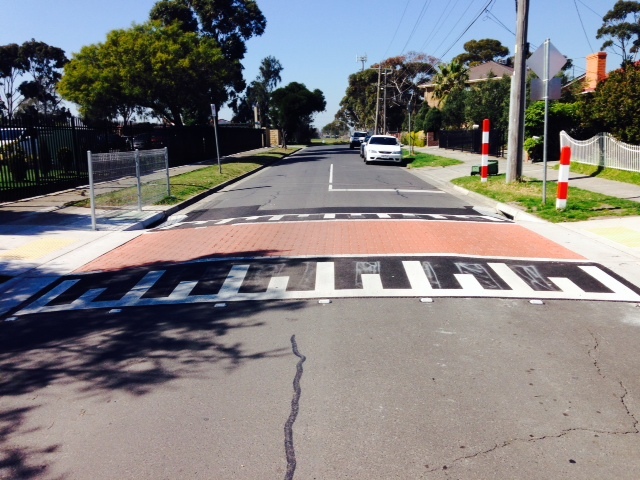 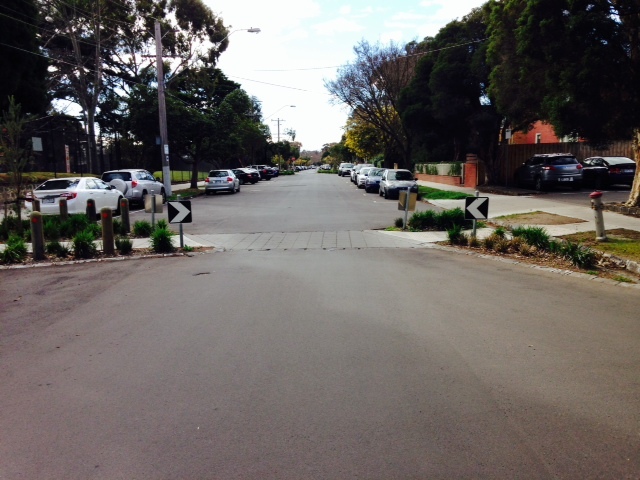 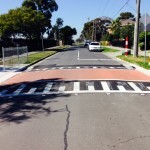 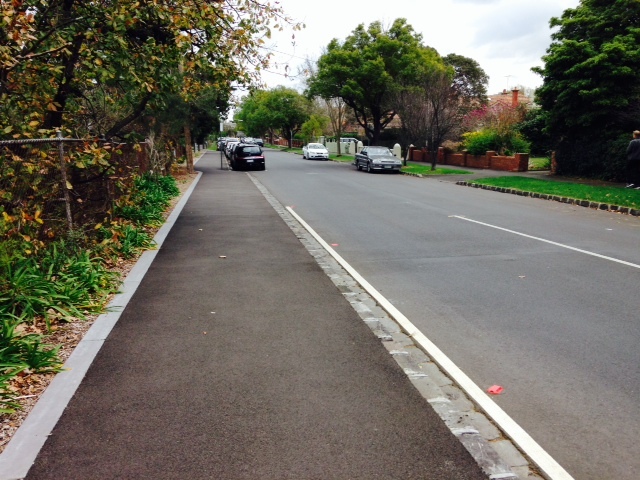 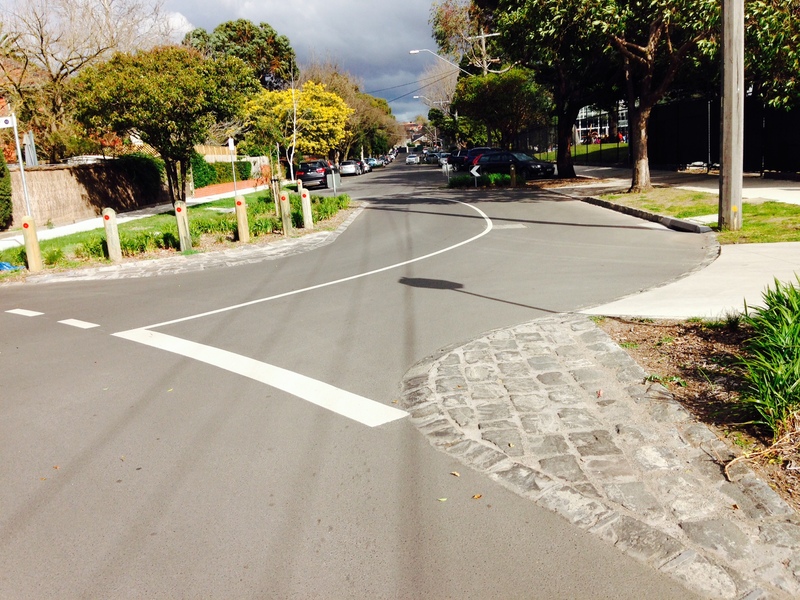 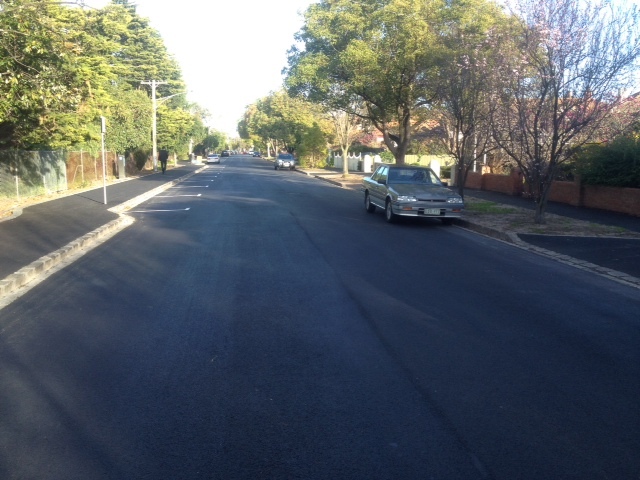 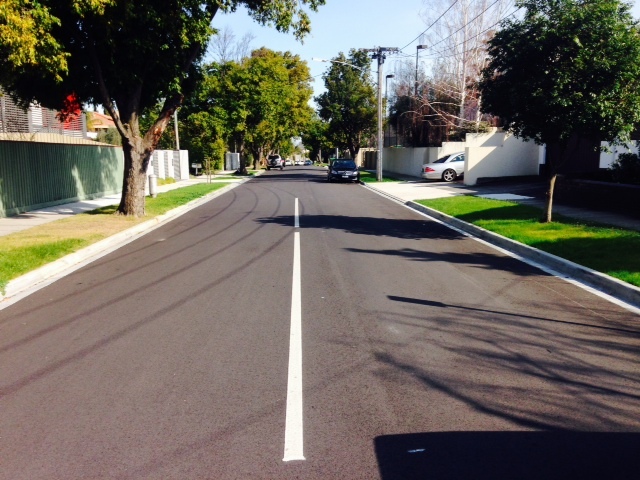 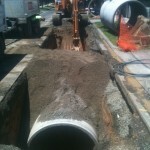 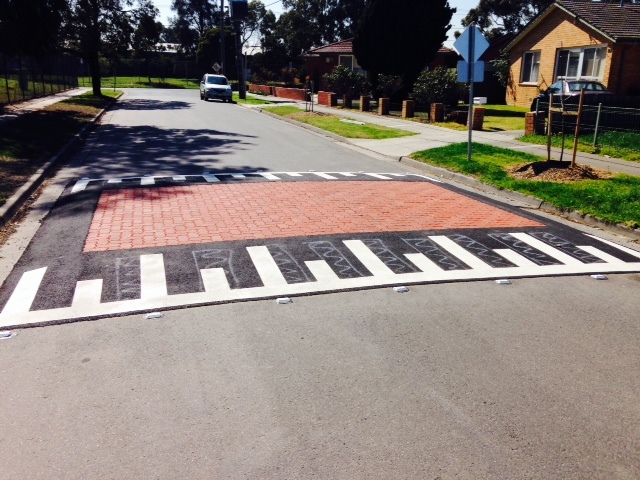 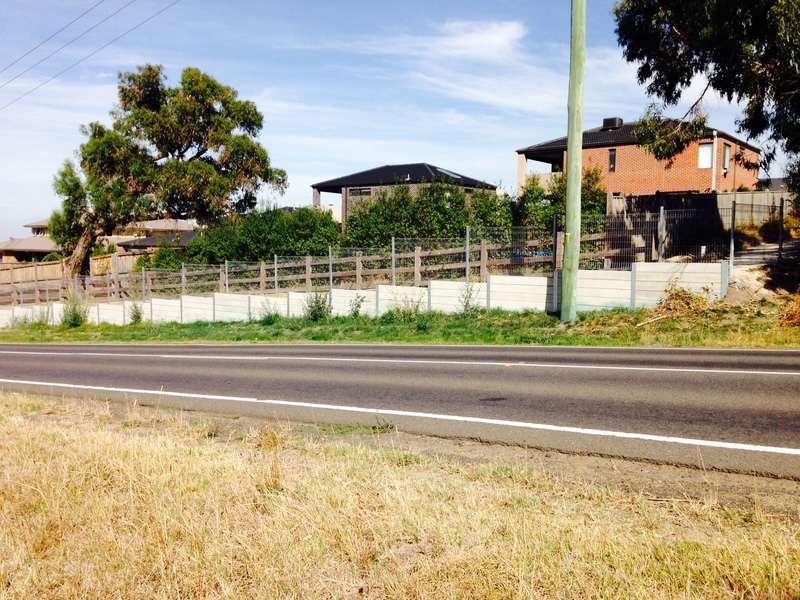 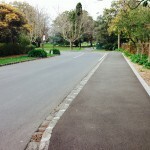 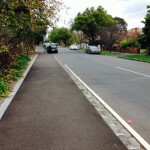 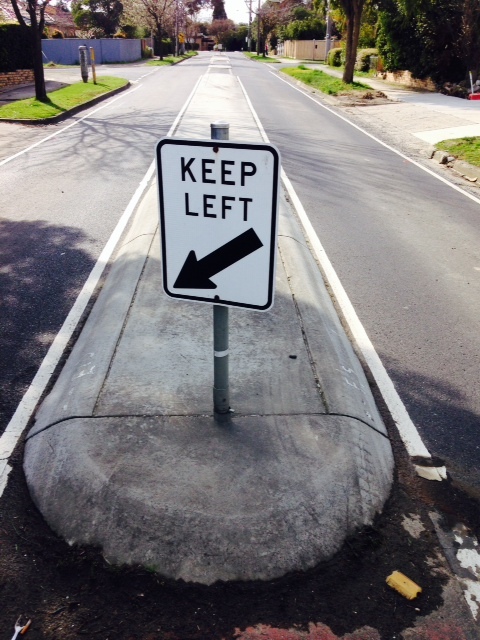 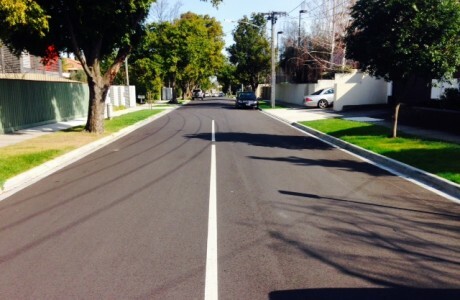 Road reconstruction and LATM treatments of Edgar Street, Glen Iris. 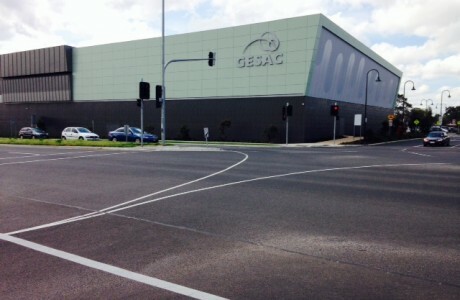 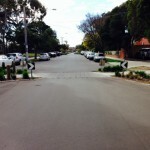 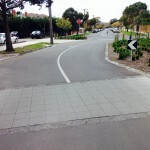 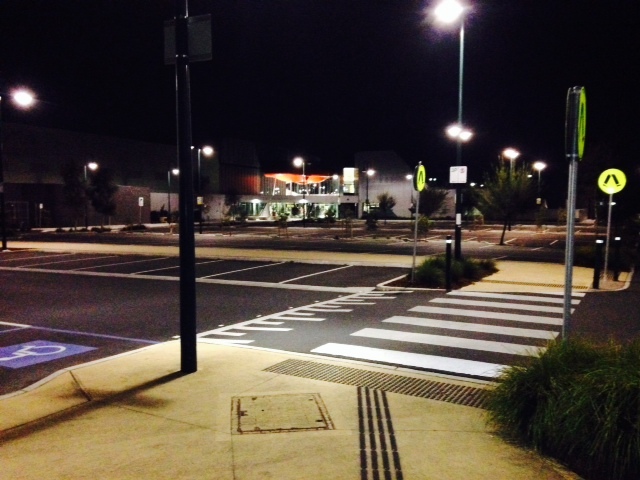 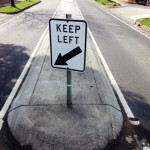 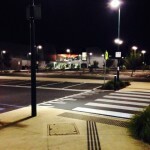 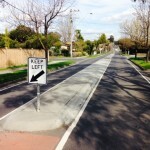 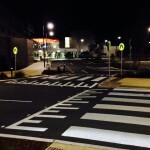 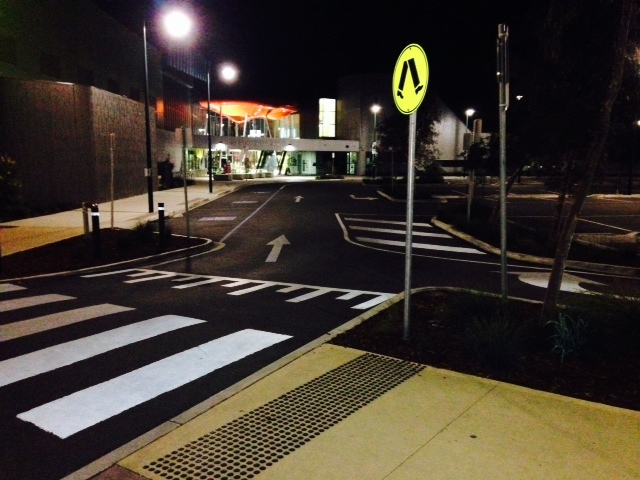 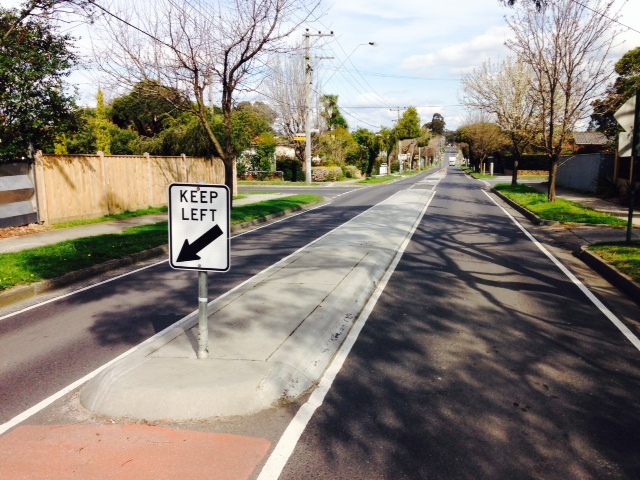 Specialised traffic calming techniques and re-design was used for the full length of roadway primarily for the high influx of population using the Harold Holt Swim Centre. 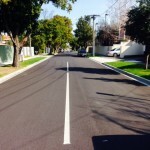 Works involved the construction of 2,500m2 of concrete pavement, 2.4km of bluestone kerb and two pitcher channel, 8,500m2 of full depth road reconstruction and adopted a new stormwater drainage network through the road. 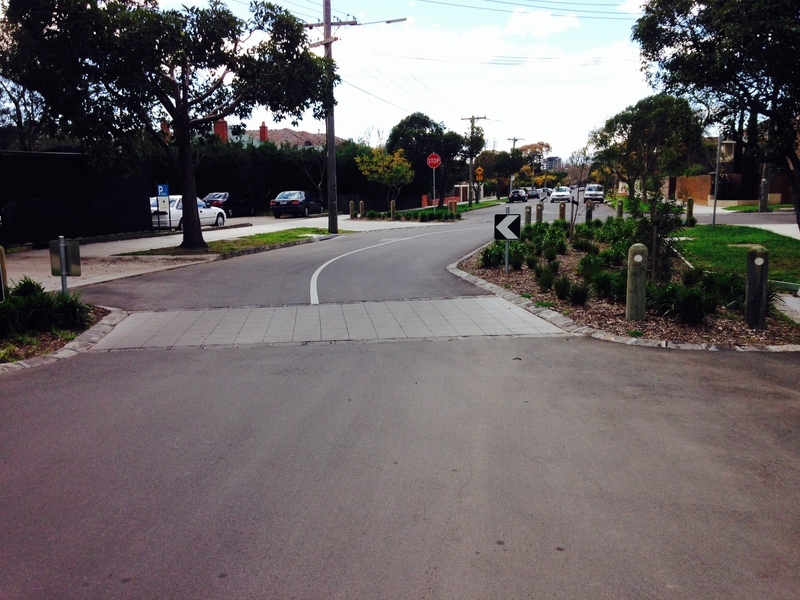 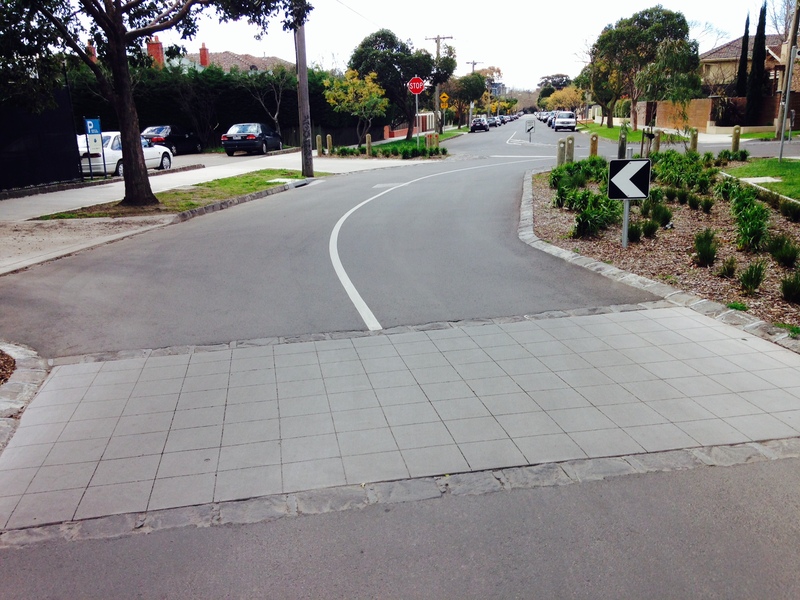 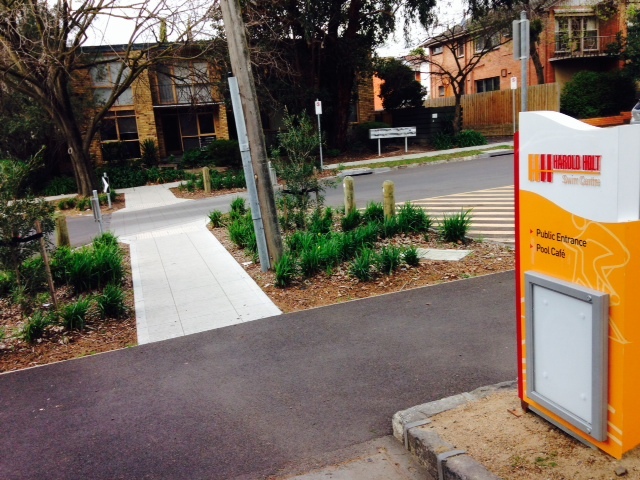 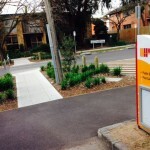 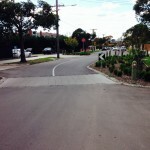 Thorough landscaping and raised pavement construction makes the newly constructed are well suited to the Stonnington district and aesthetically pleasing to the wider community who use the new road for various purposes. 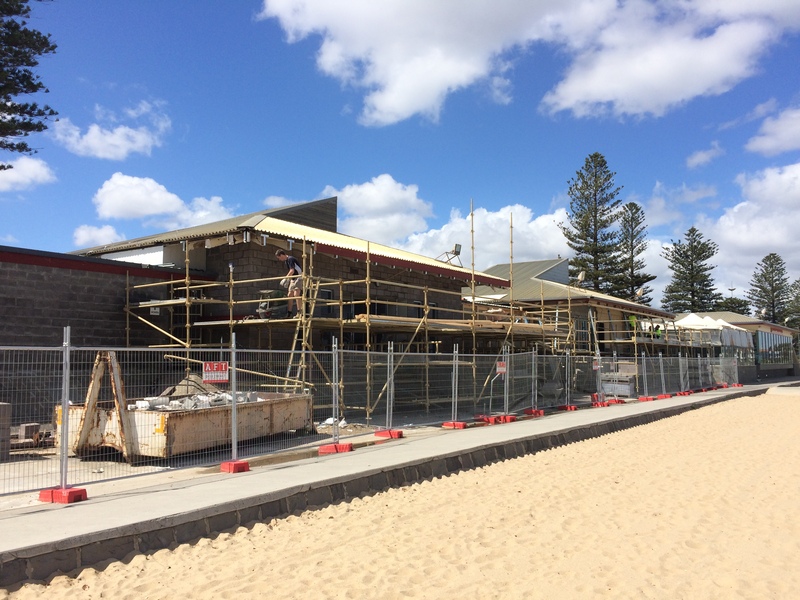 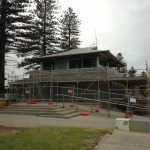 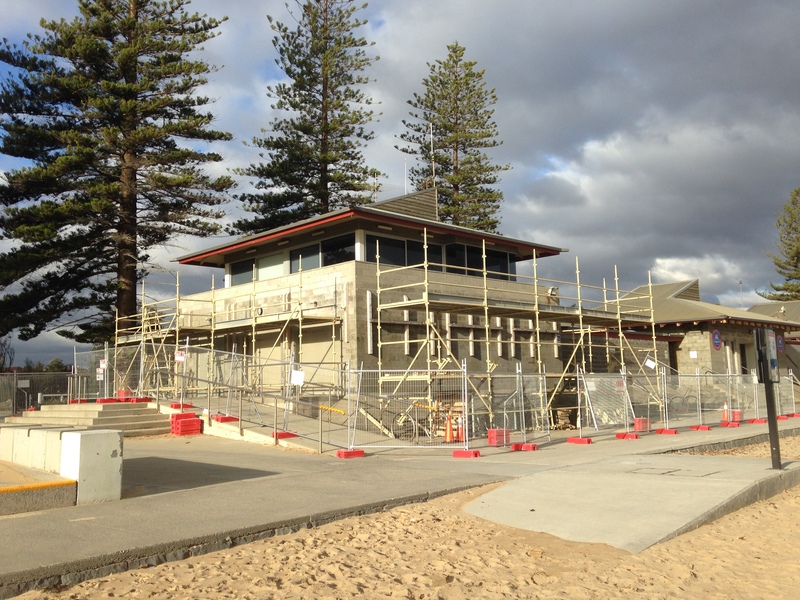 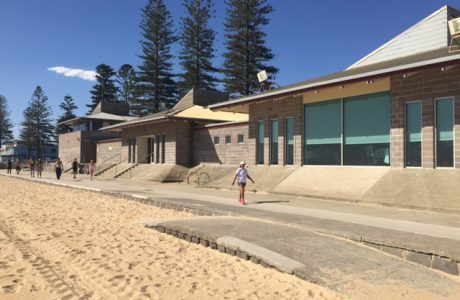 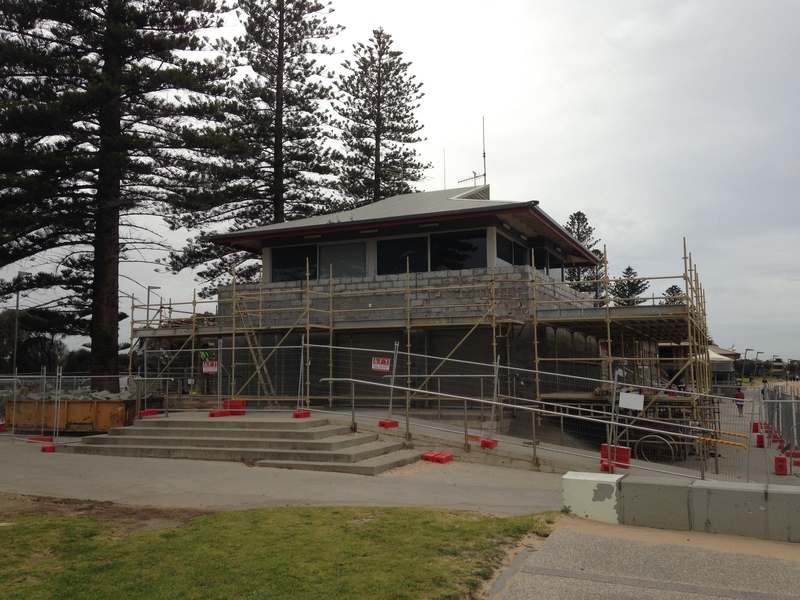 The City of Port Phillip awarded Fercon the contract to complete the structural remediation and refurbishment works to the Elwood Life Saving Club & Sails on the Bay building on the Elwood foreshore. 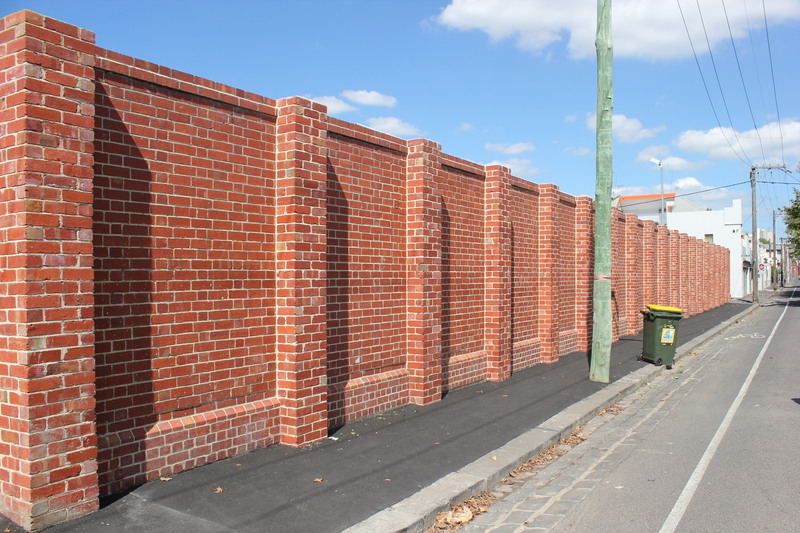 The works included the demolition and reinstatement of the external skin masonry wall. 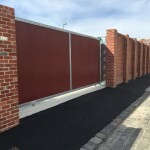 New stainless steel brick ties were retrofitted to the entire building, along with concealed steel supports to the first floor balcony balustrade. 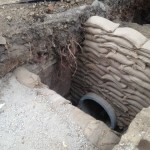 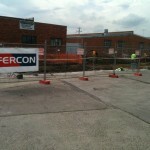 Fercon were heavily invovled in the development and implementation of the required temporary propping to the existing structure throughout the remediation works. 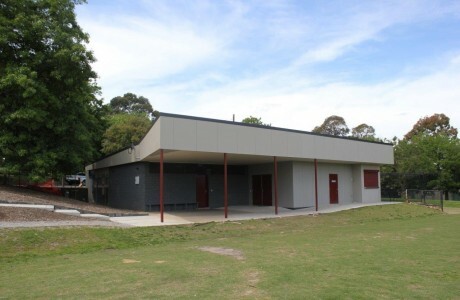 Along with the structural upgrade, Fercon also completed the repair of existing rafters and eave linings, replacement of existing rafter caps, and installation of new guttering. 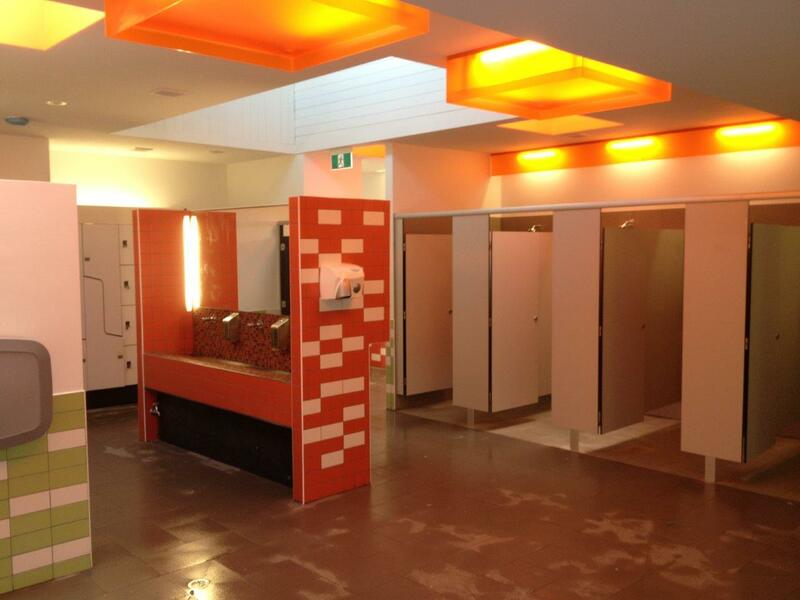 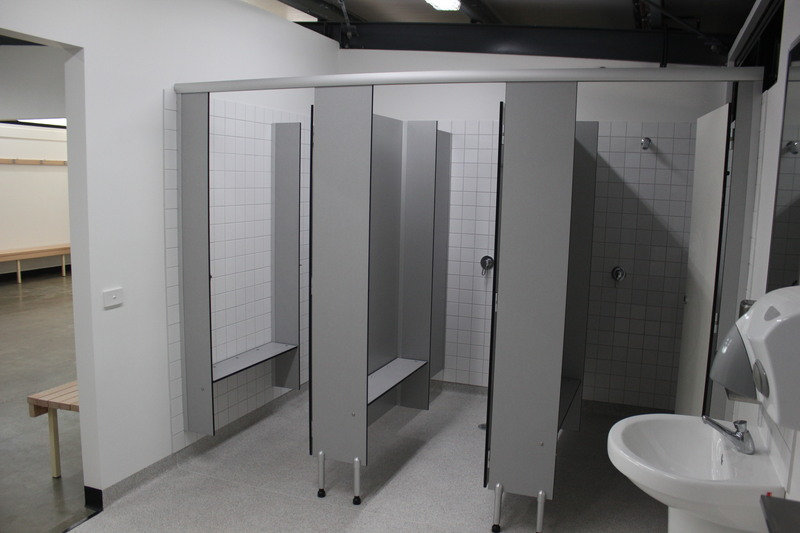 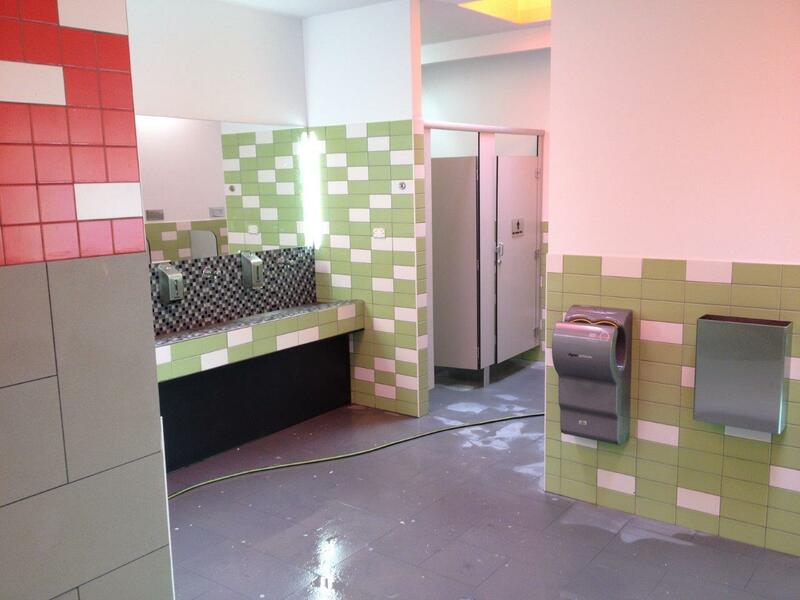 During the works to the Sails on the Bay section of the building, Fercon also completed the refurbishment of the function room toilets within a very tight timeframe, with great assistance from Sails on the Bay management, along with CoPP. 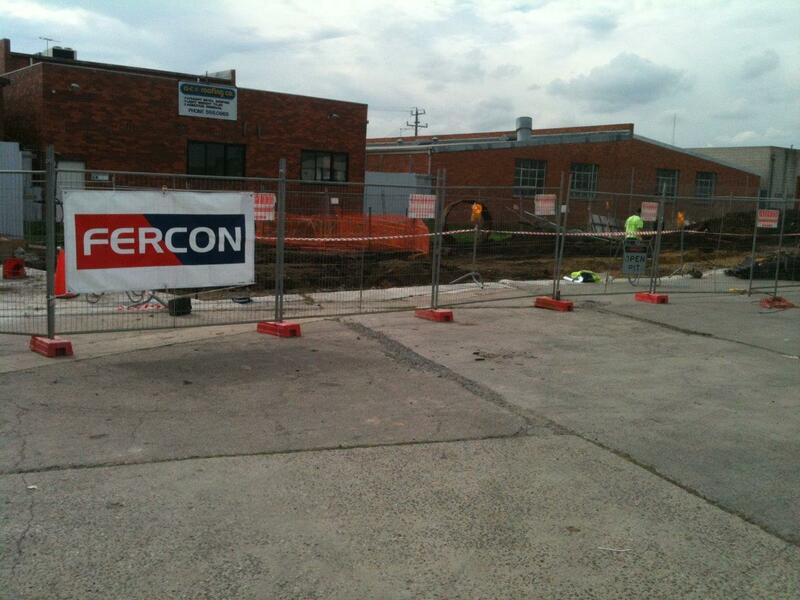 Fercon were engaged to carry out the structural remediation of an existing heritage listed brick wall to the perimeter of Fitzroy Swimming Pool complex. 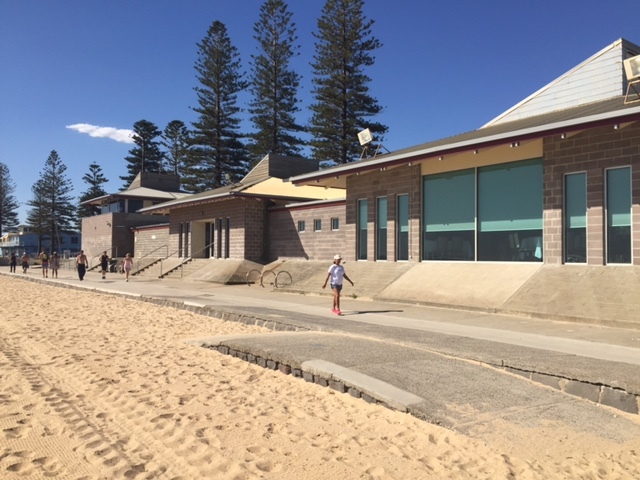 The pool remained fully operational for the duration of the project, with surrounding streets and footpaths only minimally affected. 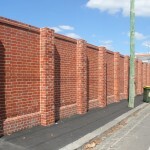 Works included the underpinning and installation of new brick piers to approx. 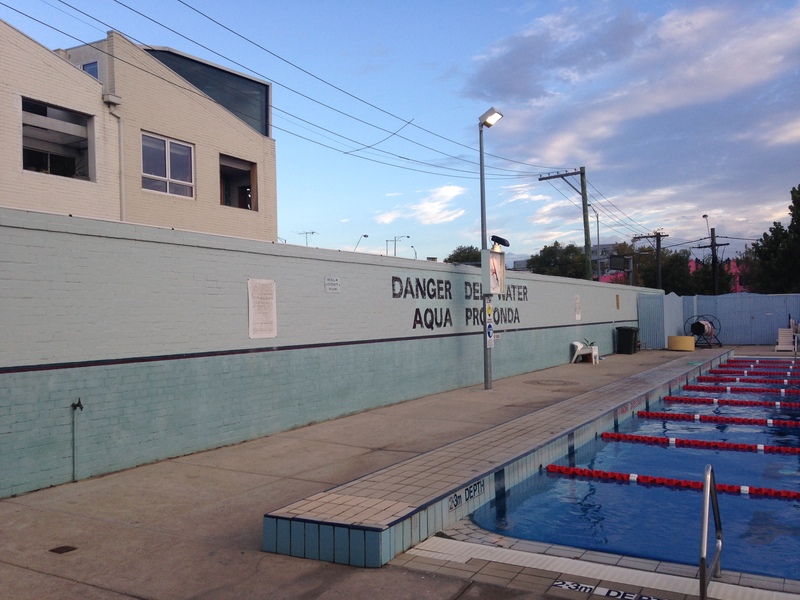 60m of existing brick wall, which features the Heritage Listed “Aqua Profonda” sign, as well as installing structural steel frames to support approx. 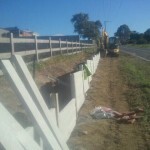 120m of the wall. 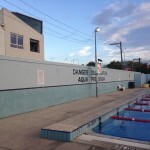 Fercon were responsible for overseeing the re-painting of the wall, including the “Aqua Profonda” sign under the advice of Heritage Victoria. 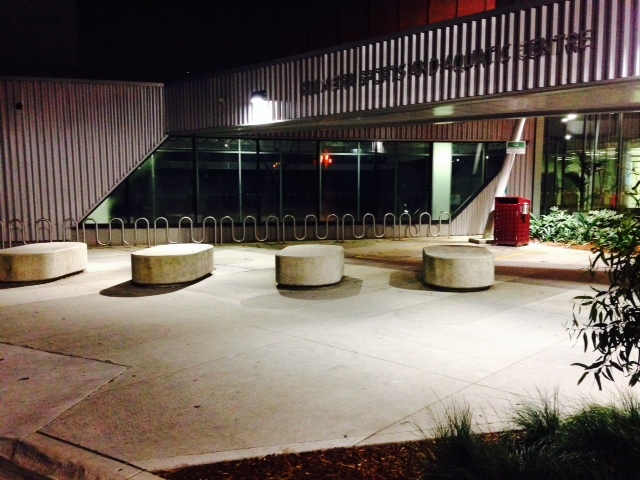 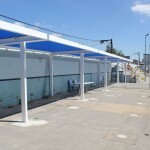 Further to this, the existing concrete terrace seating was also reinforced. 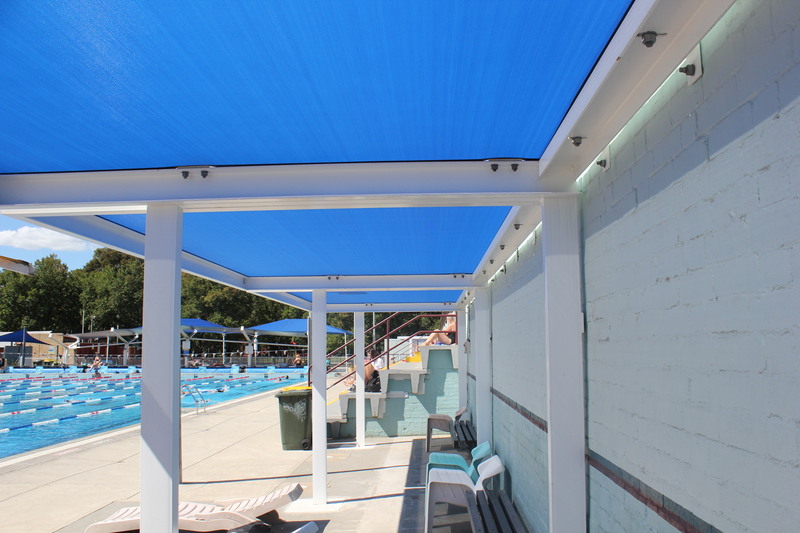 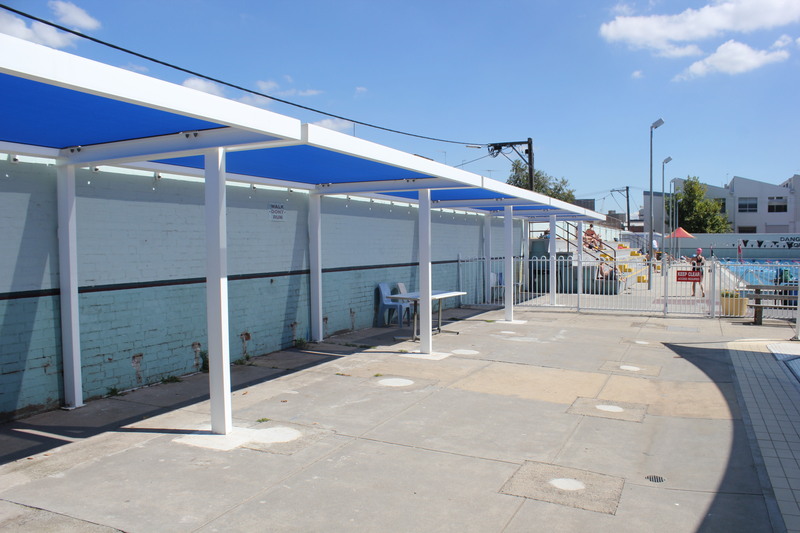 A new automatic service gate was installed, as well as shade cloth to the new steel frames to provide much needed shade to the patrons of the pool. 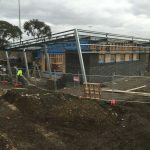 This $43 million Glen Eira Sport and Aquatic Centre is the single largest capital works project embarked upon in the history of the Glen Eira City Council. 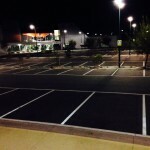 Fercon contributed to the project undertaking the car park construction, landscaping, external road works and public lighting. 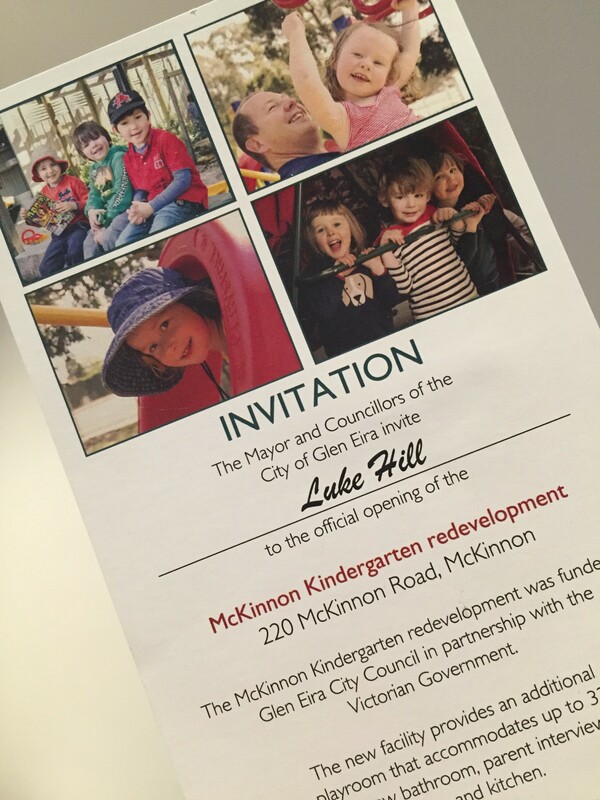 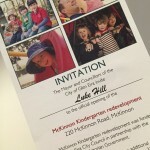 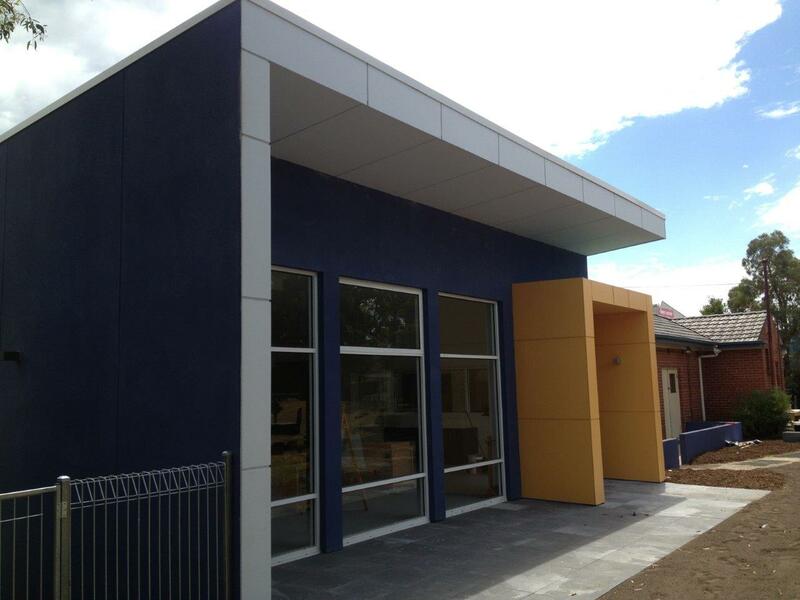 The construction provides a stunning finish complimenting the aesthetics of the surrounding Glen Eira district. 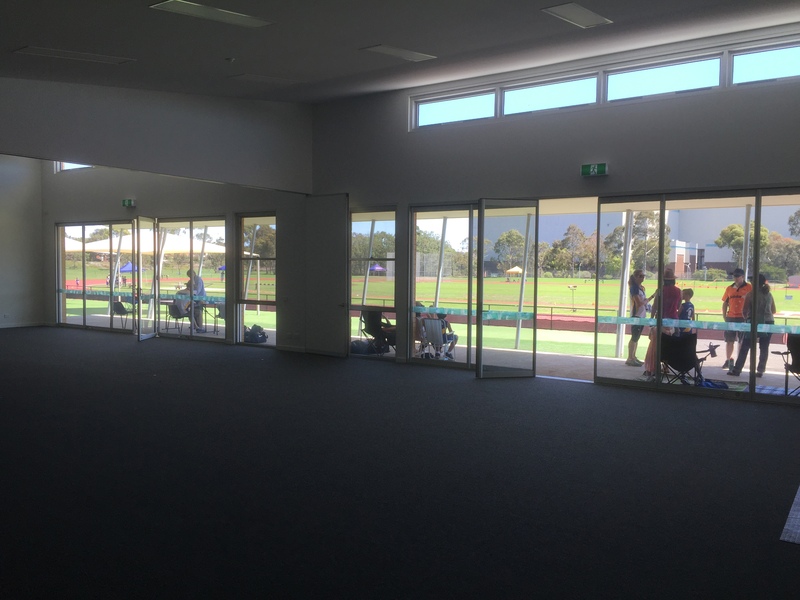 Intricate landscape detailing and generous lighting provides spectacular scenery for members and visitors who enter the Glen Eira Sports and Aquatic Centre. 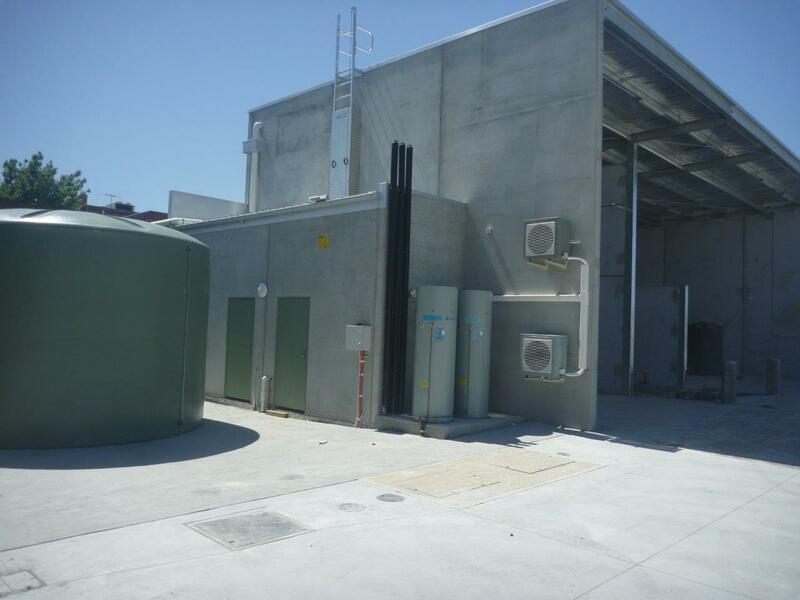 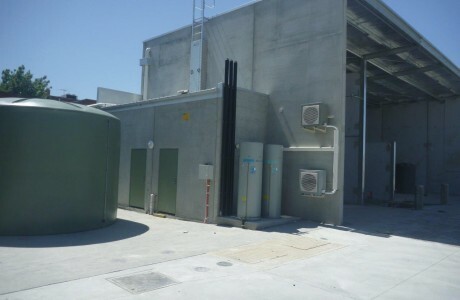 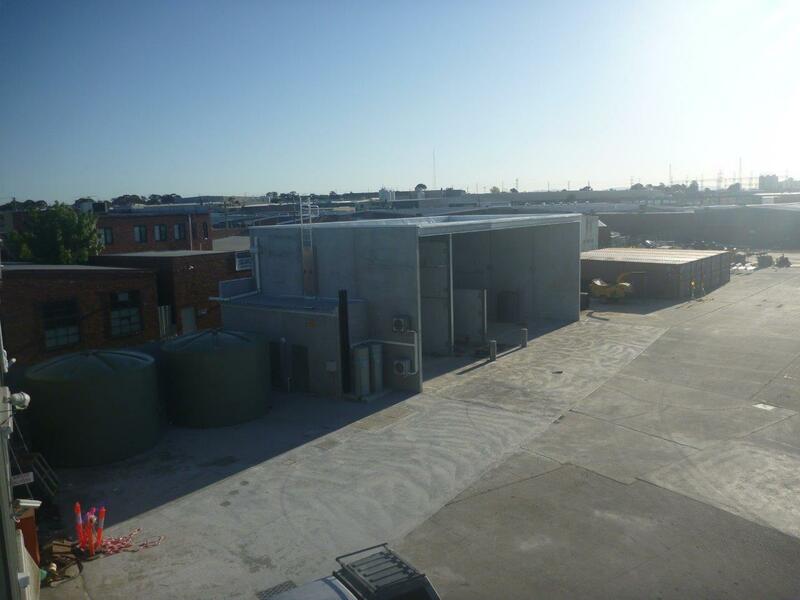 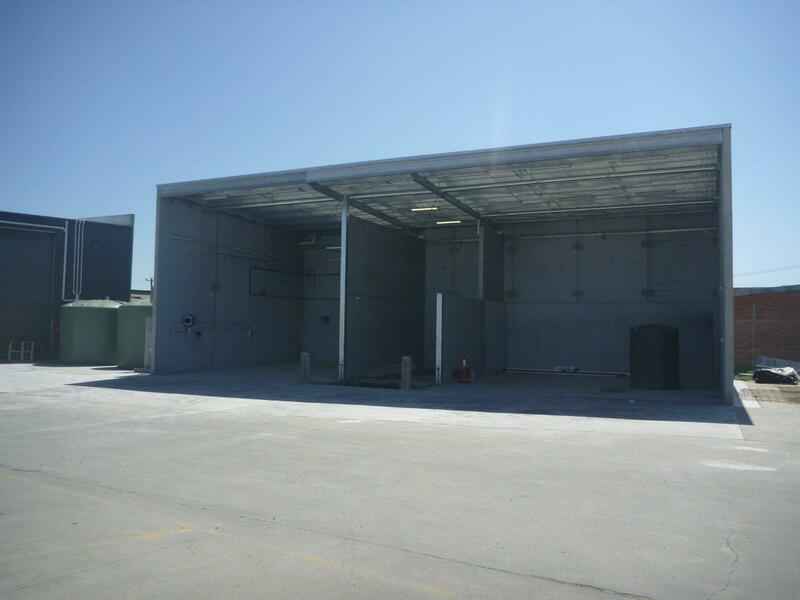 Construction of a new specialised Truck Wash Facility including 100,000L storage facilities, heat recovery hot water units and specialised truck wash equipment. 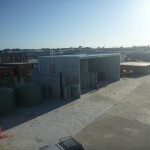 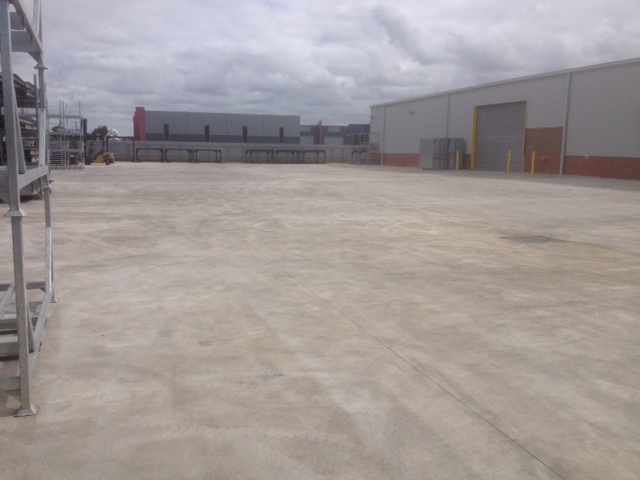 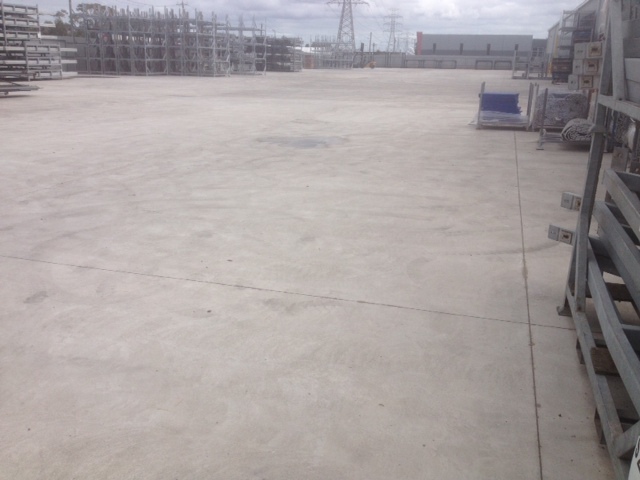 The project also incorporated the construction of a new building, associated site works and external services. 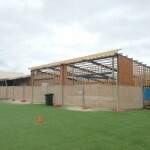 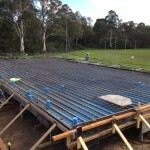 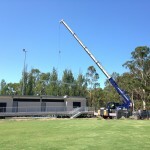 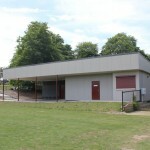 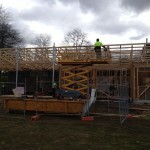 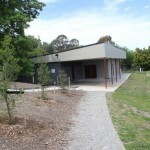 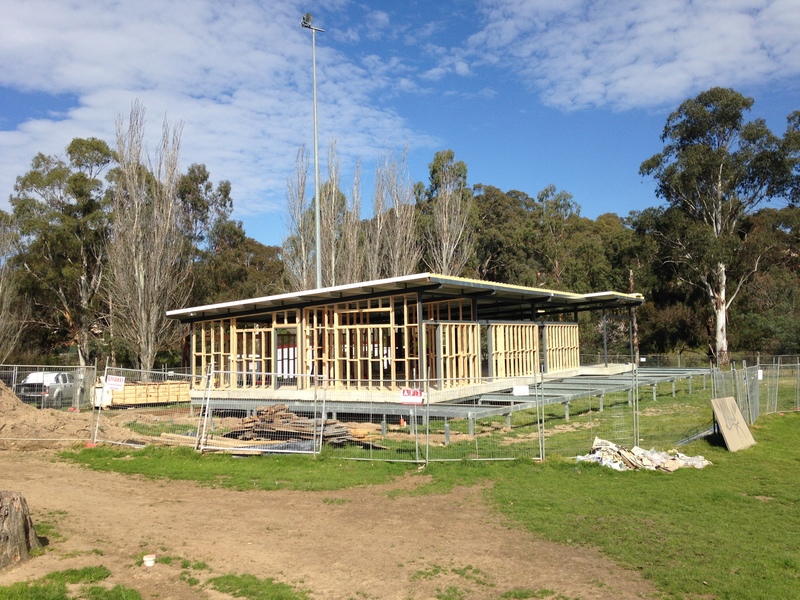 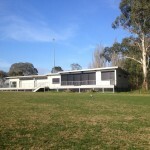 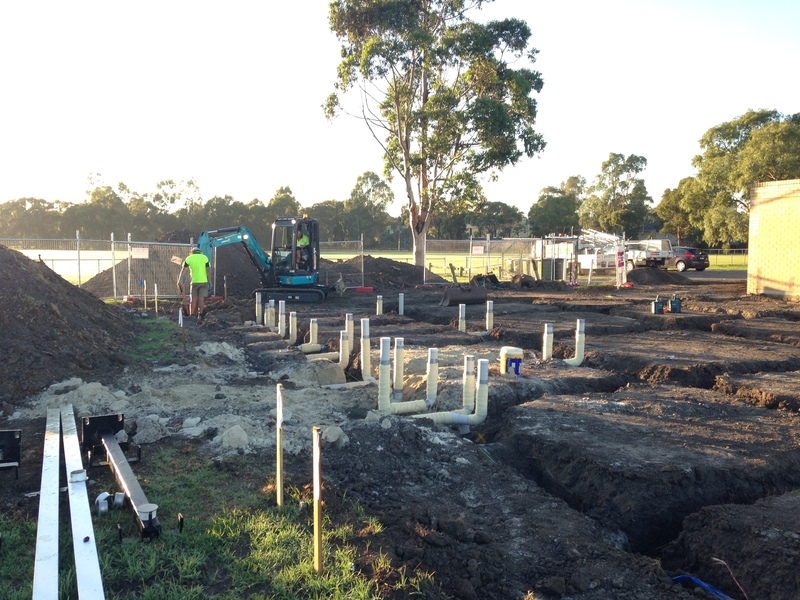 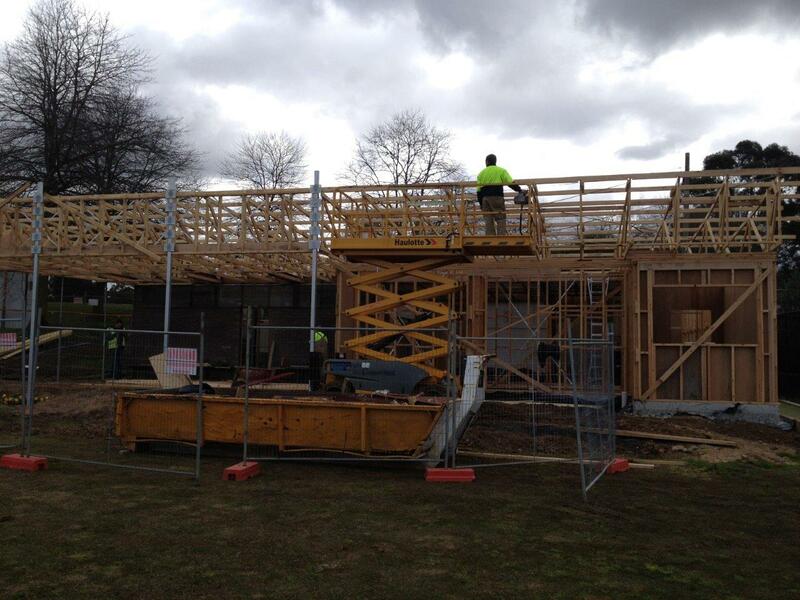 Construction of a new sporting pavilion and the landscaping works to the surrounds. 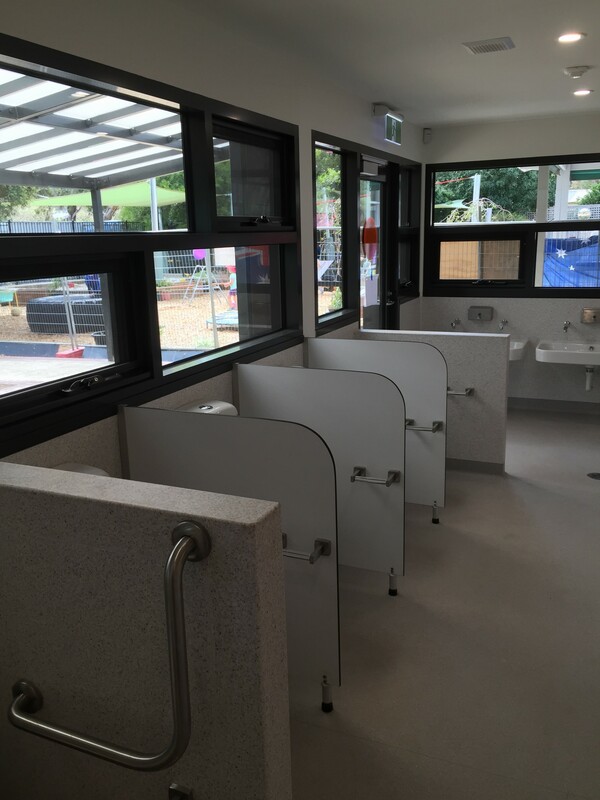 These works include the construction of social rooms, commercial kitchen, changing rooms, first aid, storage rooms and disability toilets. 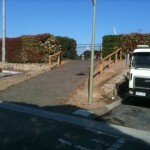 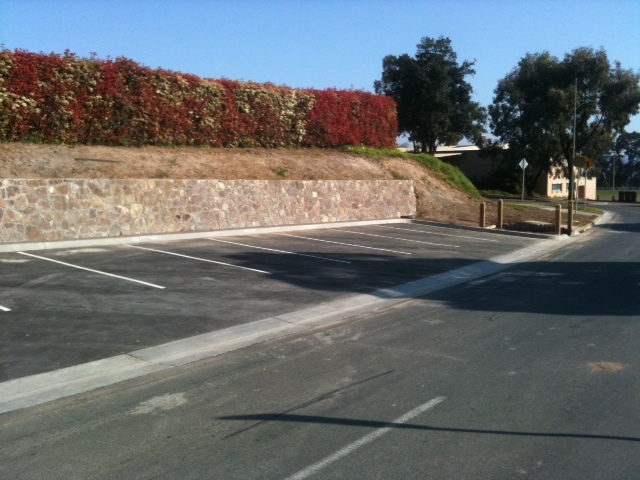 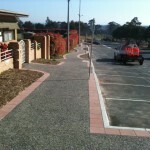 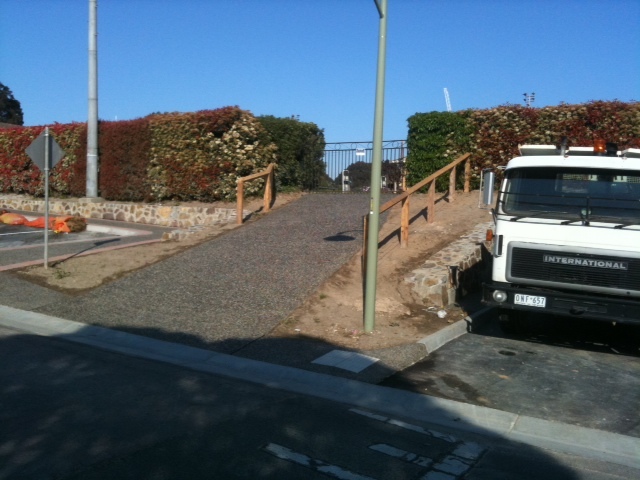 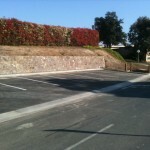 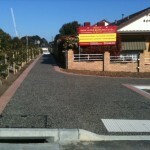 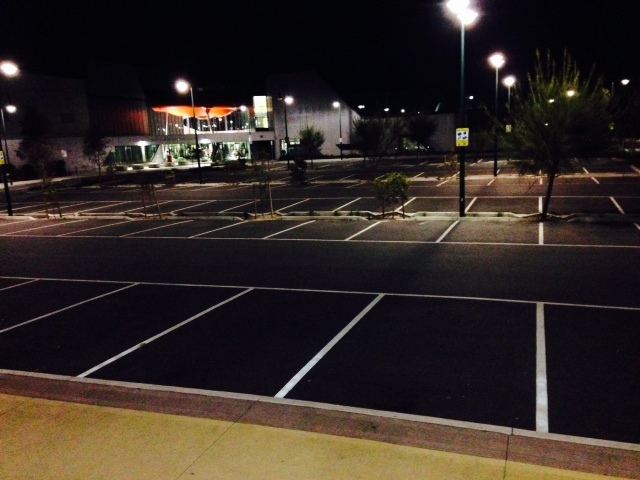 Construction works also included extensive hard and soft landscaping and alterations to the existing car park. 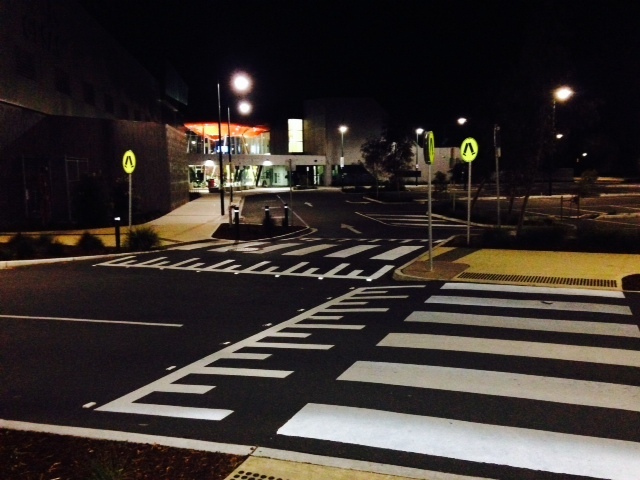 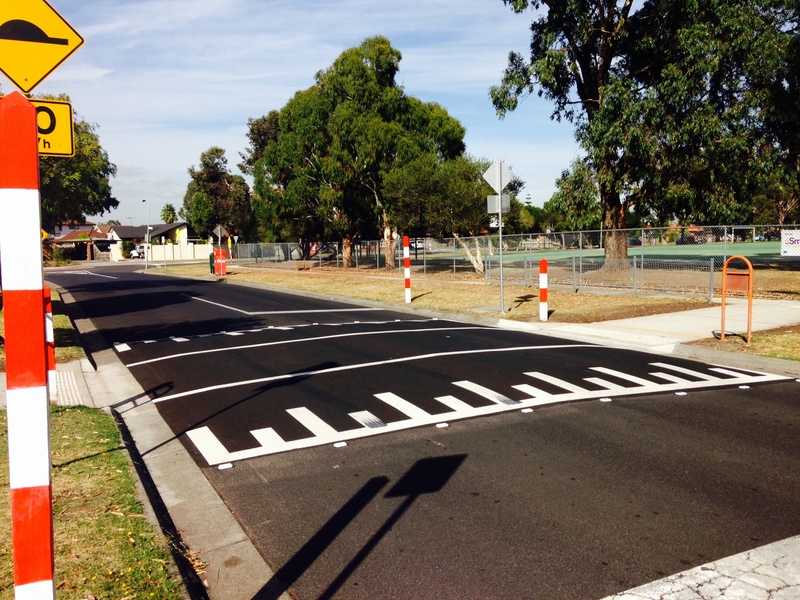 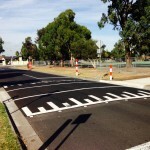 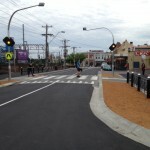 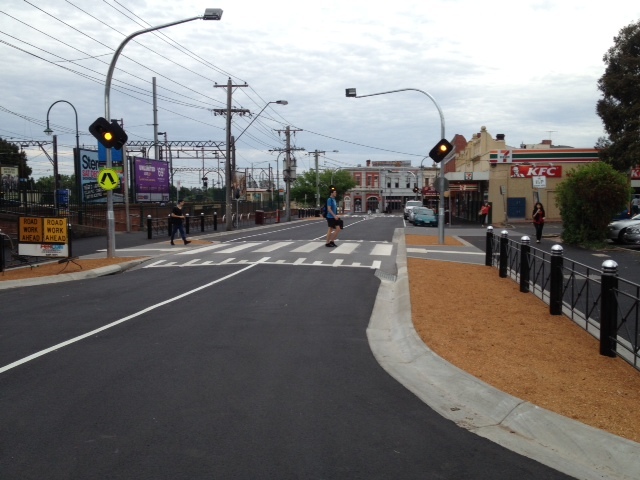 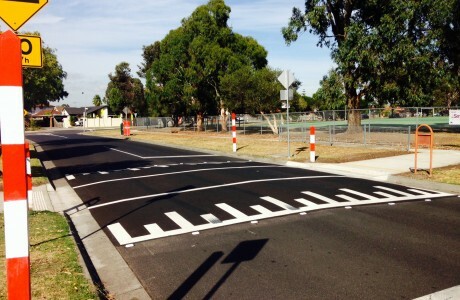 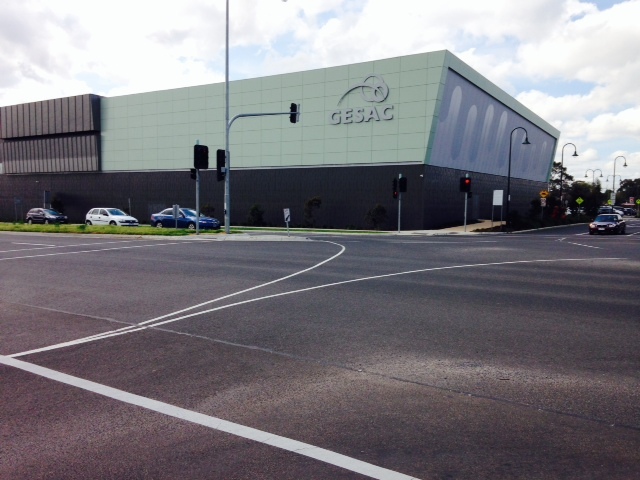 The redesign and redevelopment of car park and streetscape along JJ Tully Drive in Doncaster. 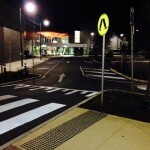 Construction works of the car park and streetscape involved 900m2 of asphalt with a terra cotta tile outlining the footpath. 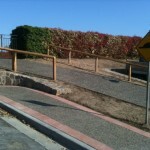 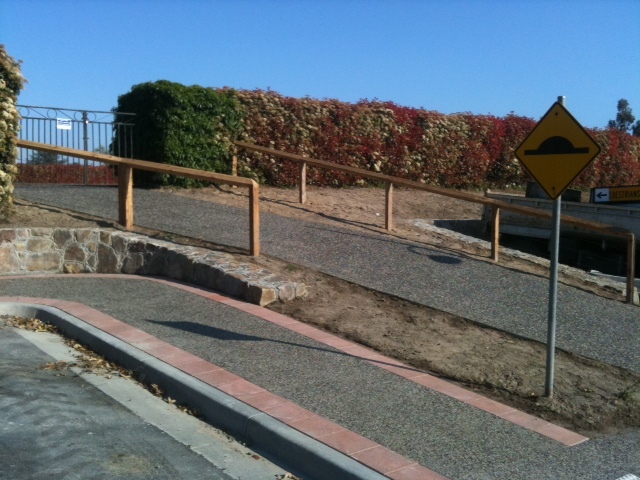 Rain gardens and an asphalt ramp was also part of construction with a Cyprus pine handrail on either side. 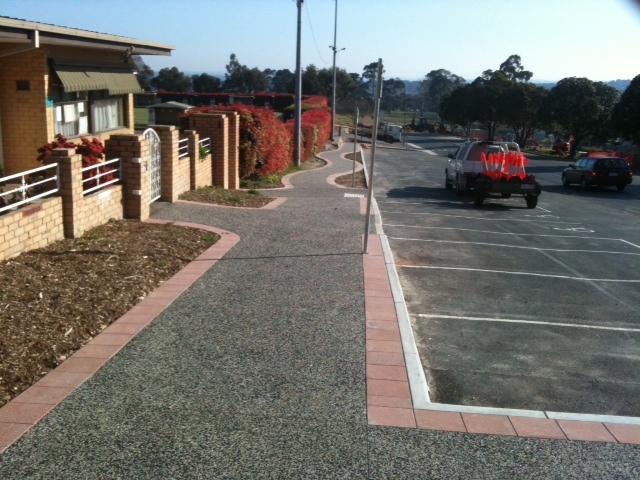 A major element of the project is the Coldstream rock feature strip, grouted rock retaining wall, landscaping and generous lighting for the public car park. 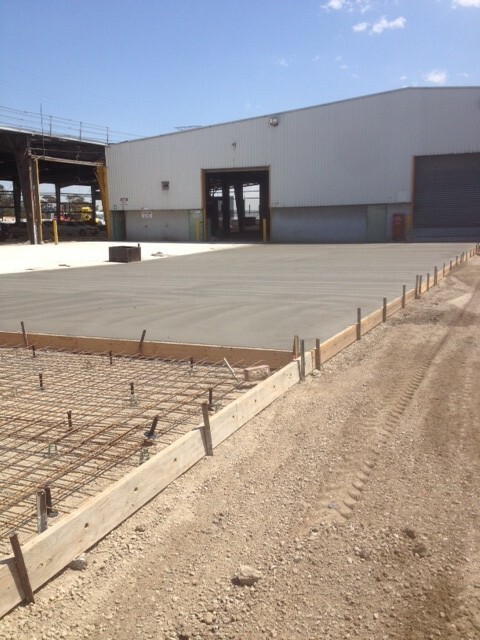 Concrete pavement construction for the factory extension of 1 Lynch Road, Brooklyn. 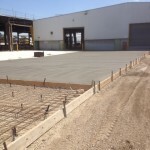 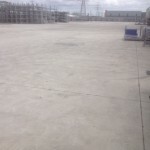 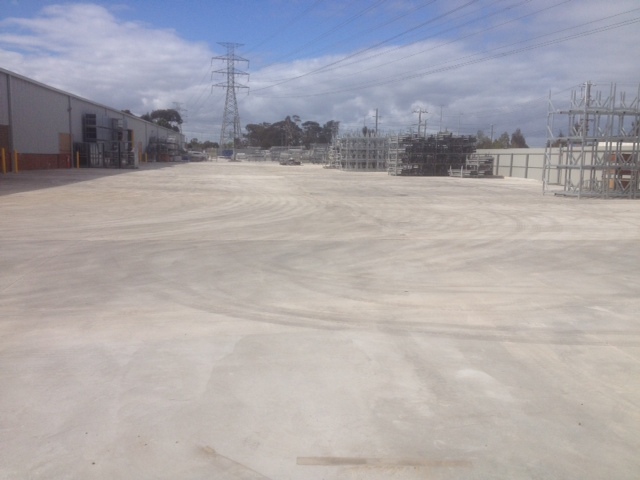 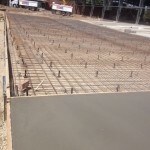 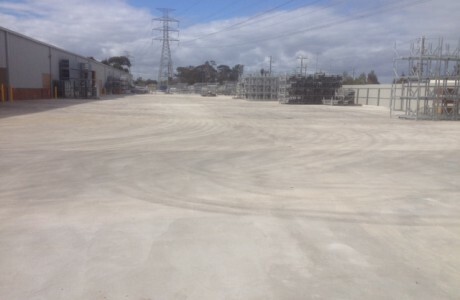 Fercon undertook the design and construction of 20,000m2 of concrete pavement construction, 6,000m3 of bulk excavation and 1.1km of drainage construction. 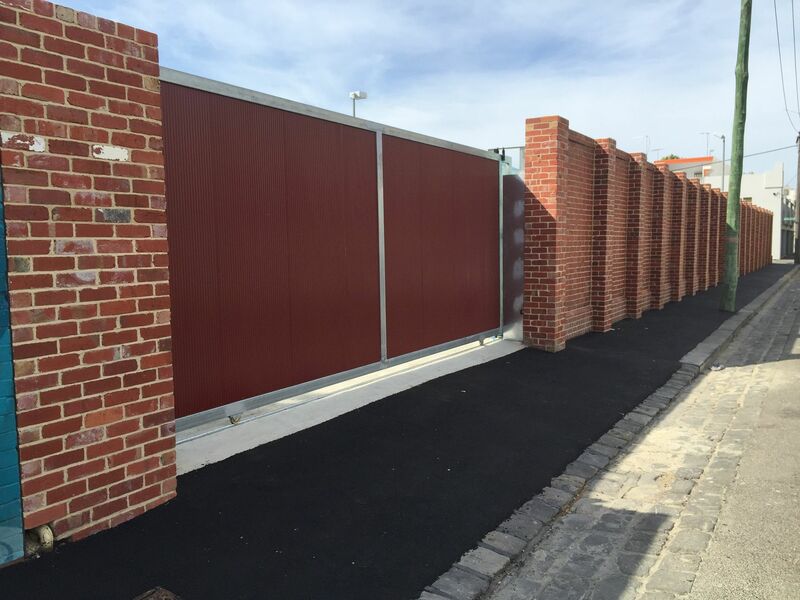 The construction provides a first class finish and is fully functional for the heavy rigid machinery that makes use of the new surrounds. 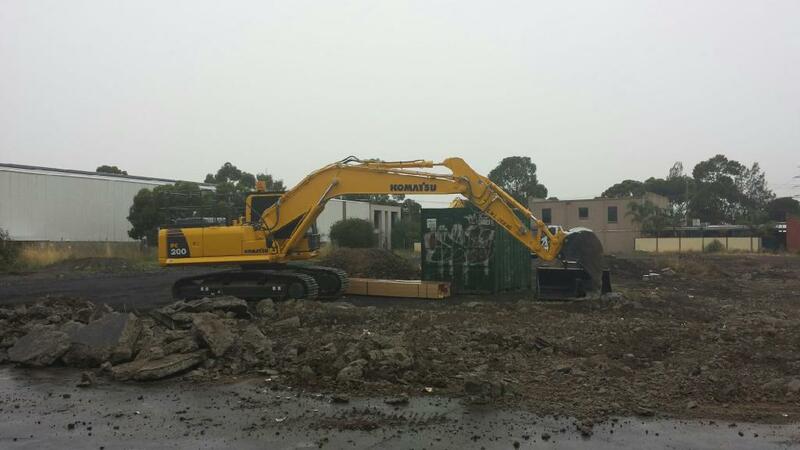 With the support of our mobile plant, all materials removed were recycled daily to maximise our efforts towards reducing environment impact. 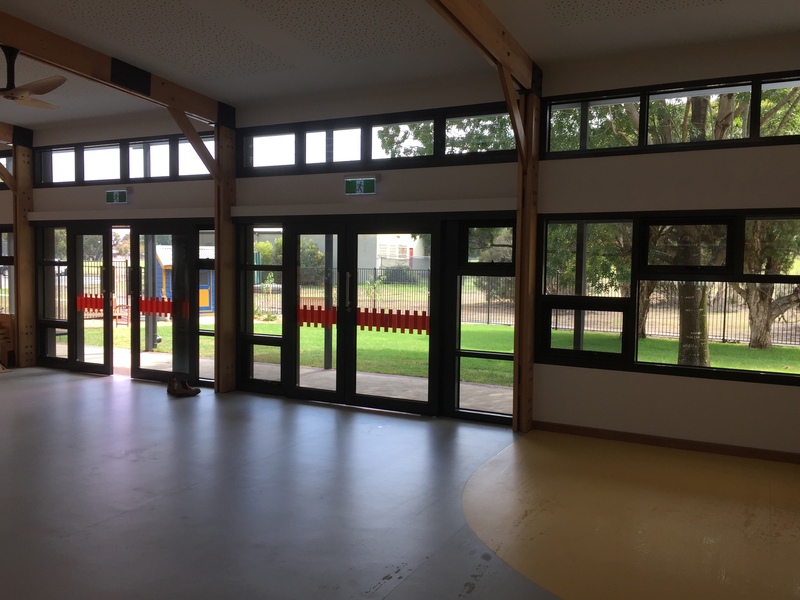 Extension and refurbishment of an existing kindergarten including new playroom, wet areas, stores, kitchen and main entry areas. 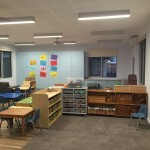 Works included the upgrade and relocation of incoming services with interfacing works completed during school holiday periods. 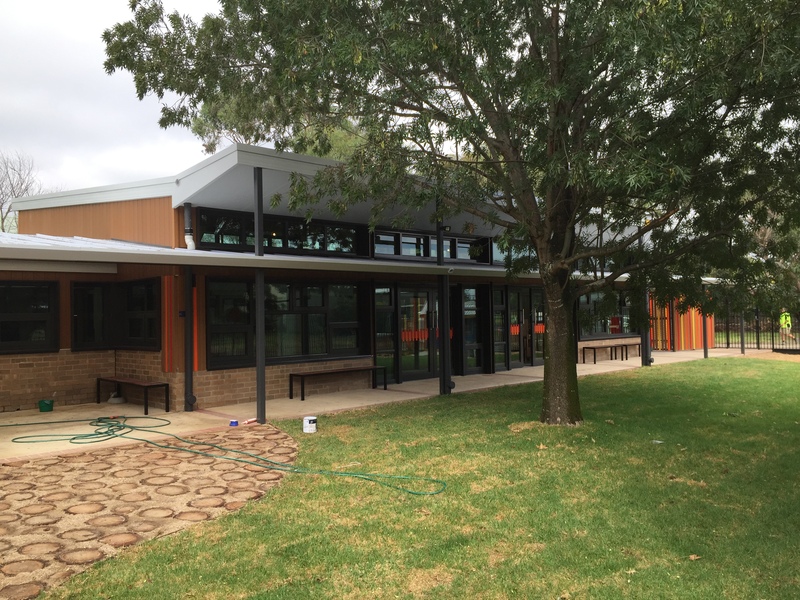 Construction included a combination of brick veneer, Sycon matrix and foam render cladding along with landscaping of surrounds. 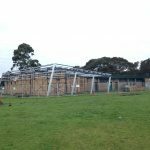 Works were largely undertaken within an operational facility and co-ordinated in consultation with the client and project consultants. 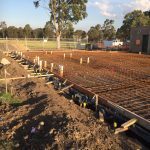 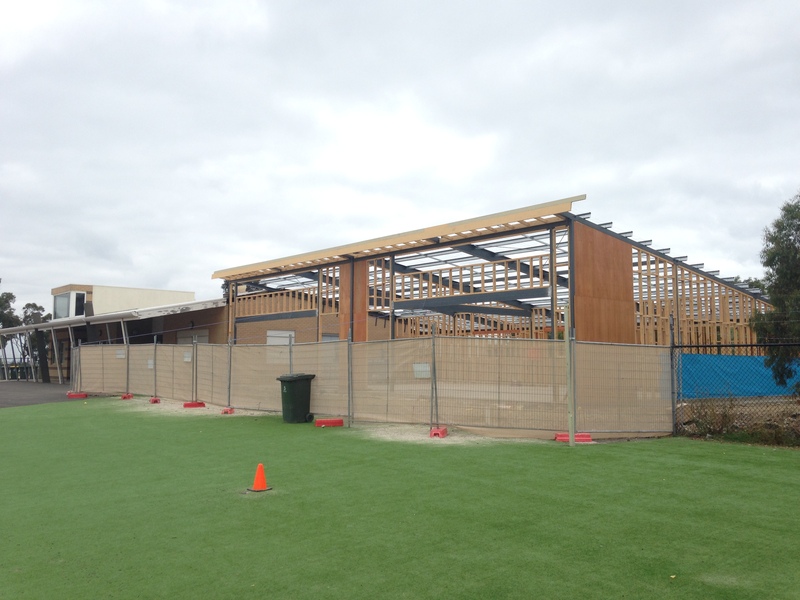 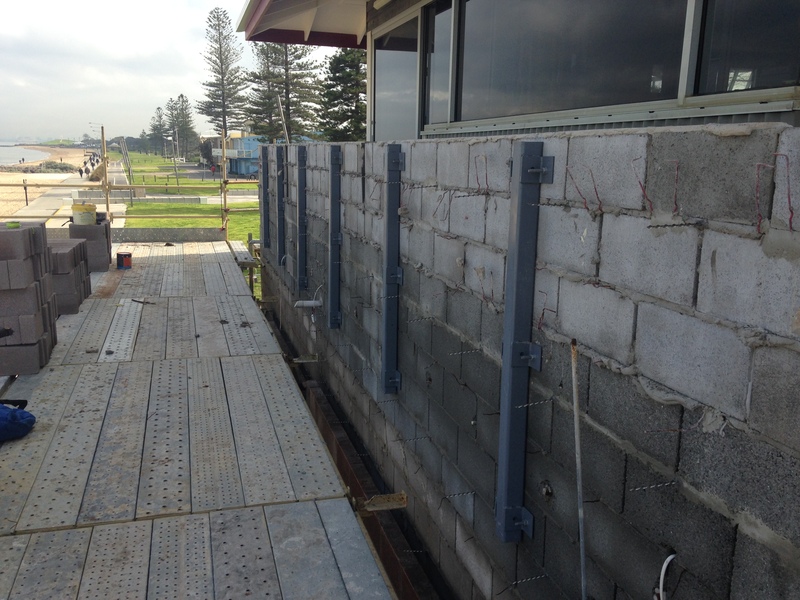 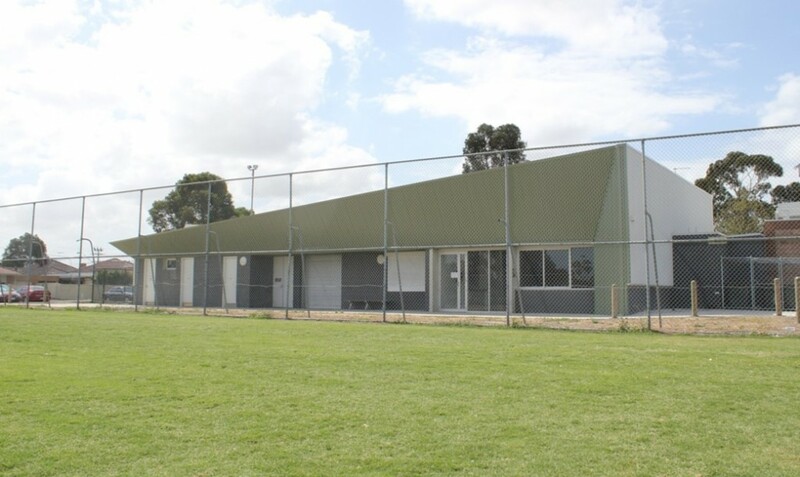 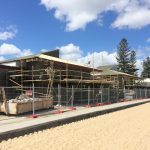 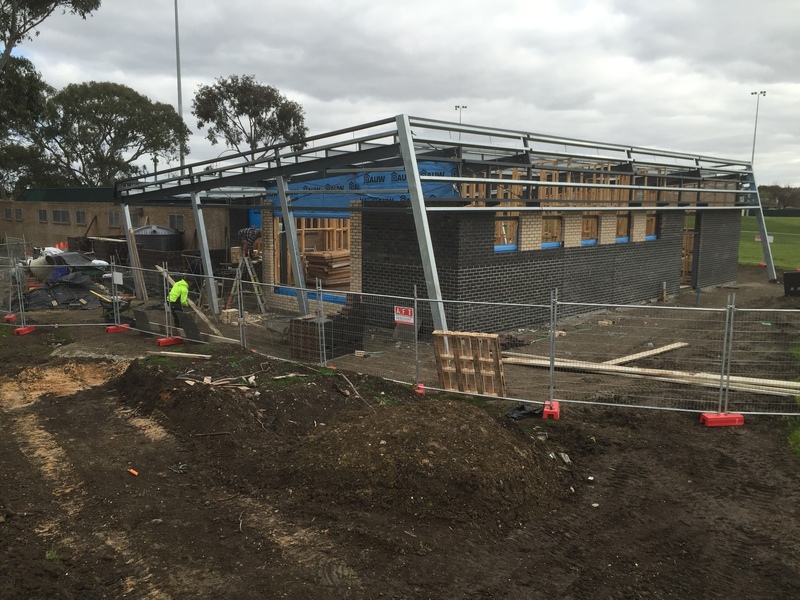 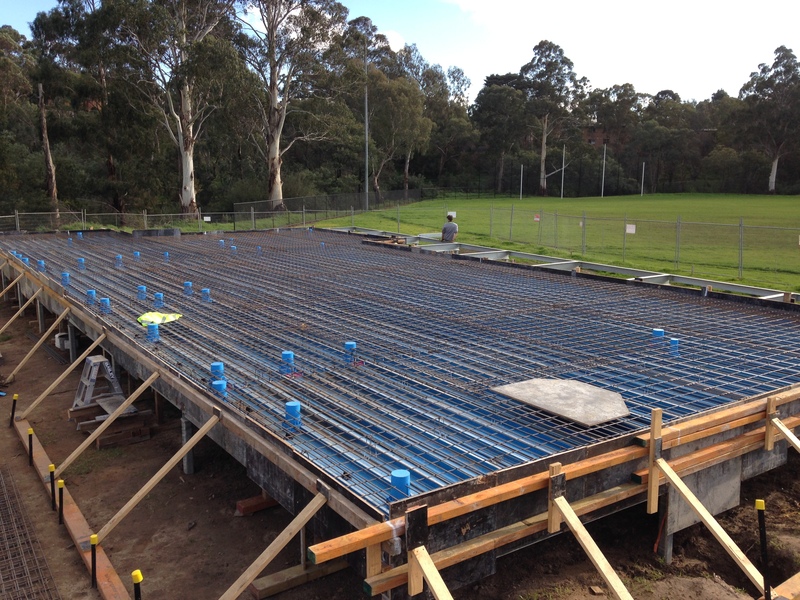 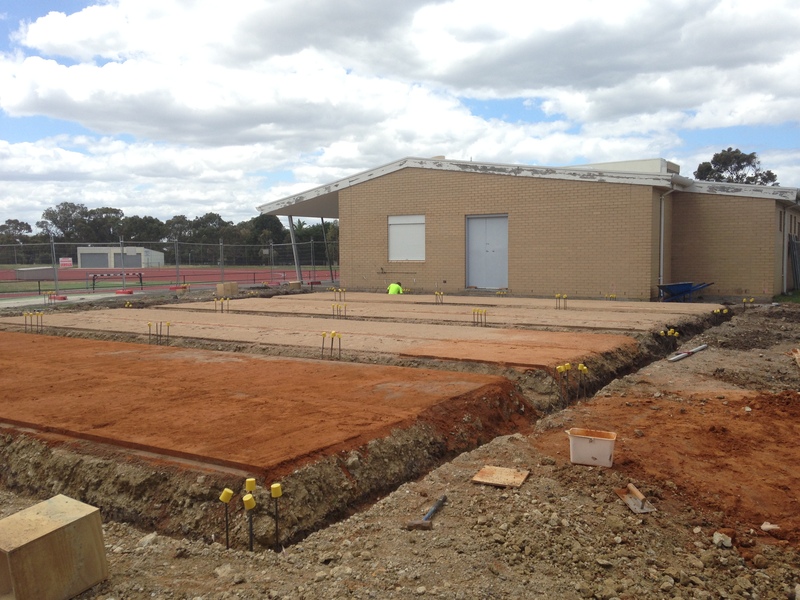 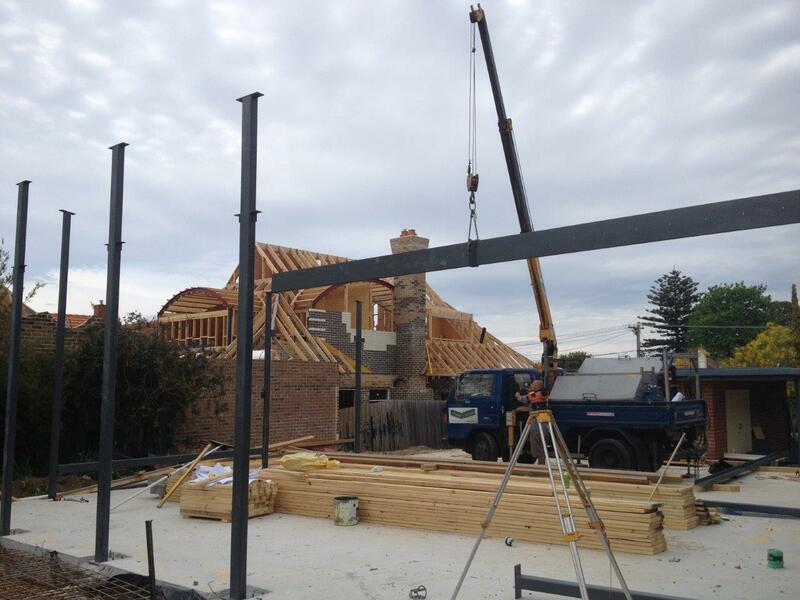 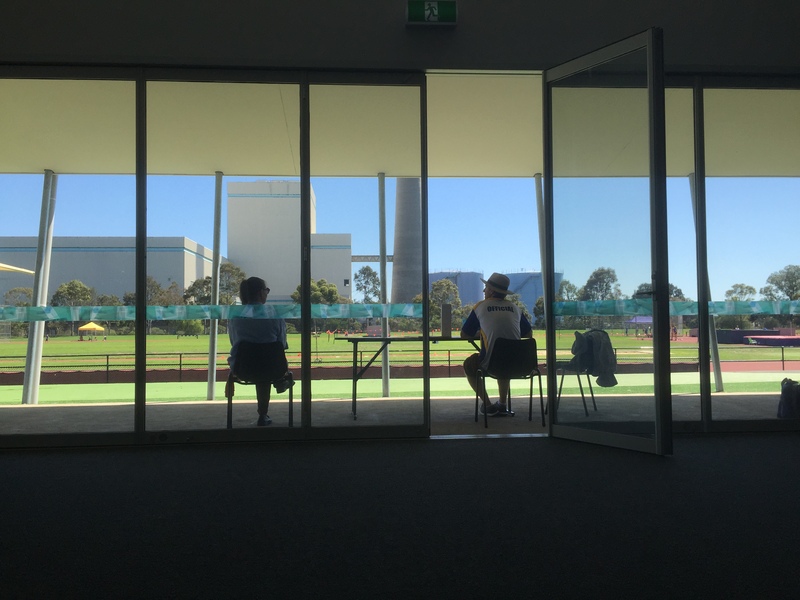 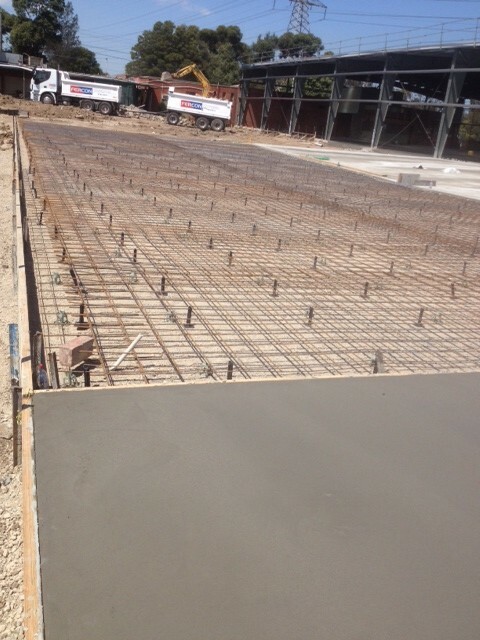 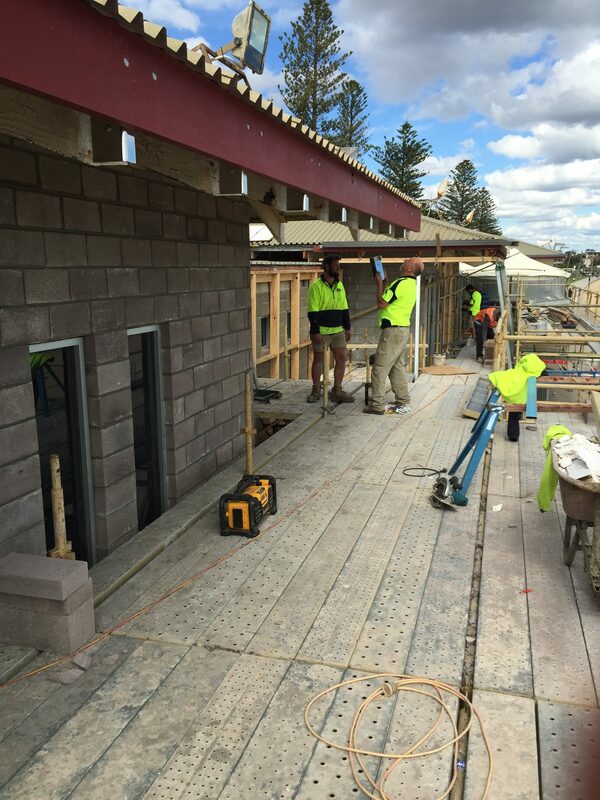 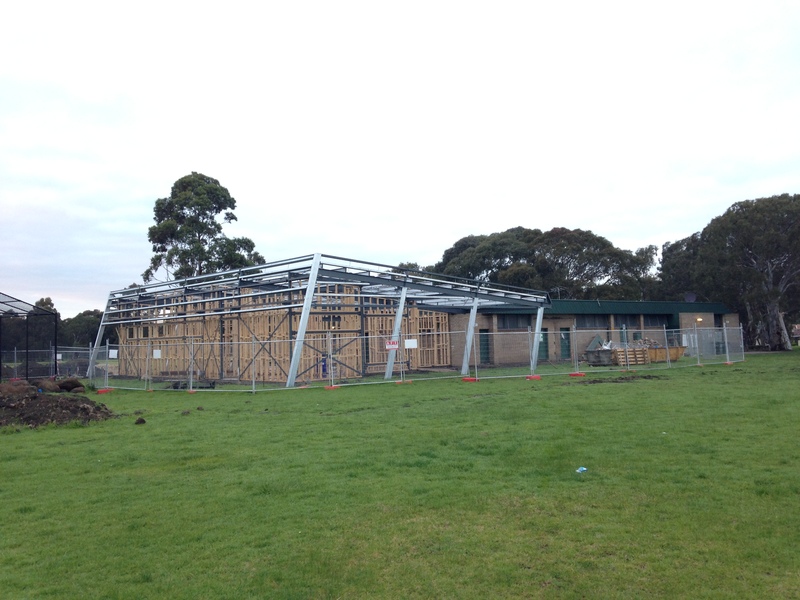 Hobsons Bay City Council engaged Fercon as the head contractor to carry out the alterations and extension works to the existing Newport Athletics Track Pavilion. 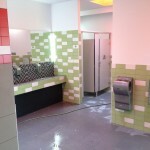 Works included the construction of new social rooms, offices, meeting rooms and general storage, as well as upgraded wet areas. 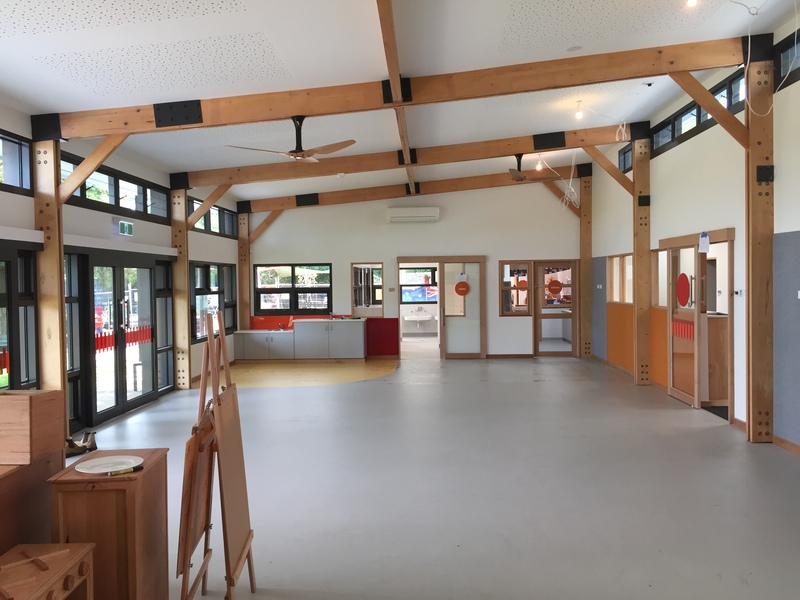 External works included the installation of a new dedicated fire service, and upgrading the existing water feed, as well as a new BBQ area, water fountain and rain water harvesting tanks. 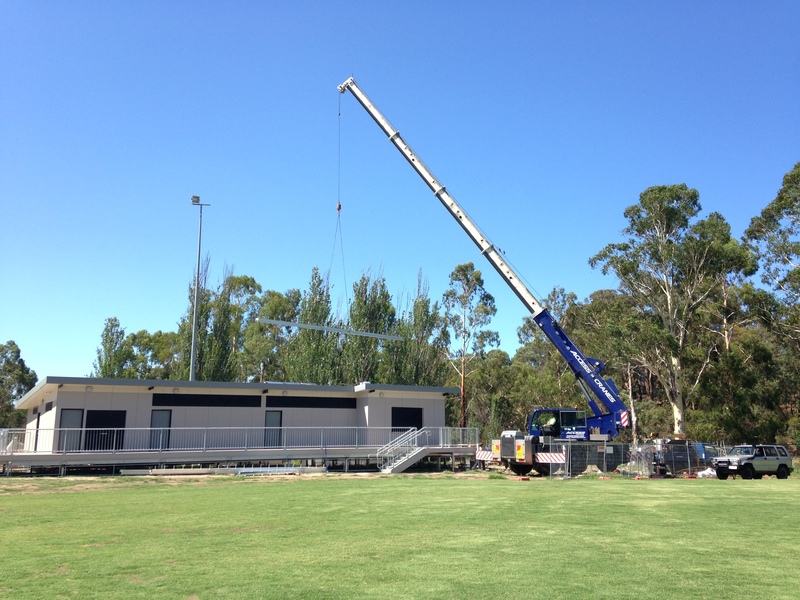 We worked hand in hand with Council and the Athletics Club to maintain full accessibility to the track for training, competitions and school carnivals. 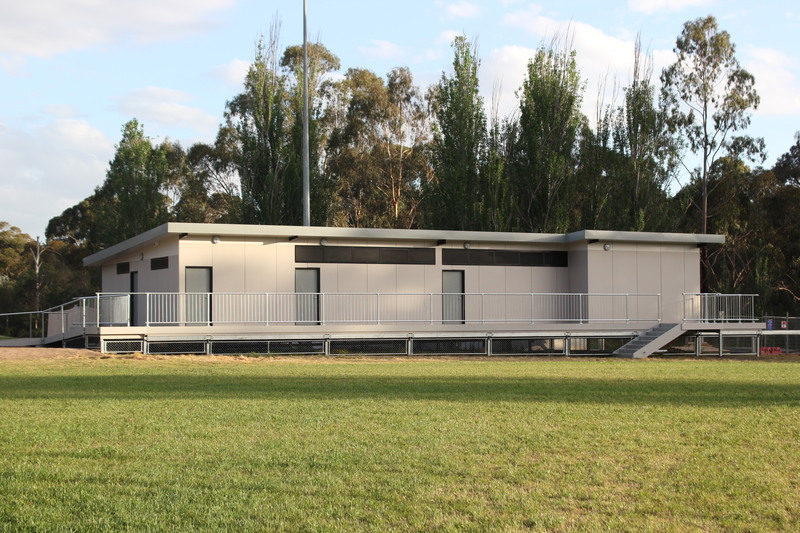 Fercon facilitated this by proposing and providing temporary change facilities and amenities for the duration of the project. 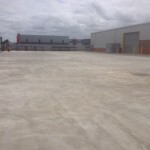 Another significant innovation was the agreement to dispose of the contaminated spoil onsite under a contamination management plan that provided a significant commercial saving to the client. 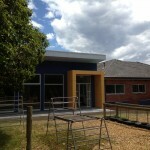 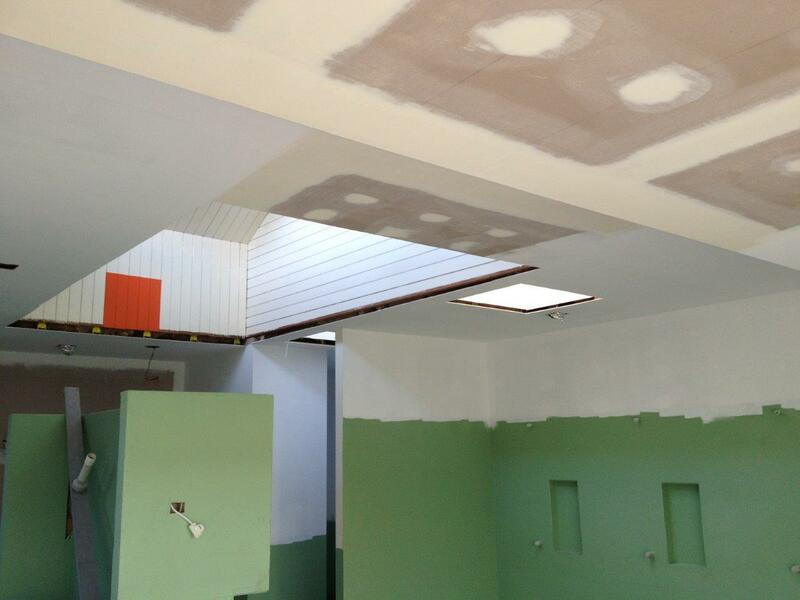 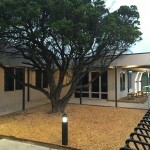 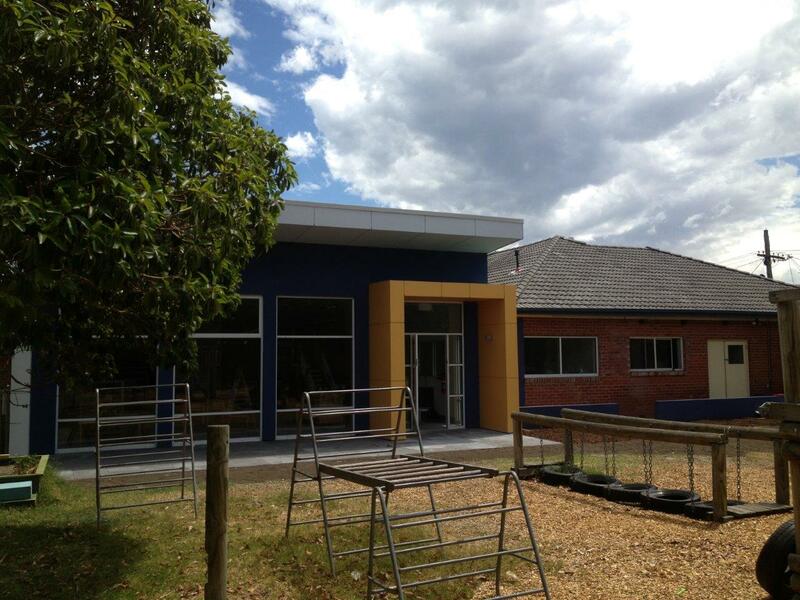 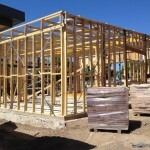 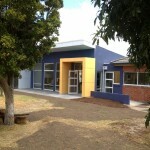 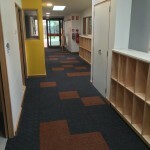 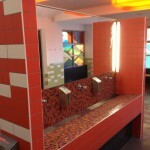 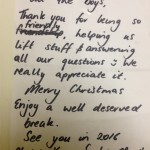 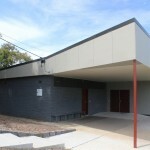 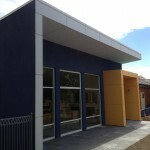 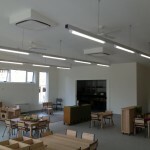 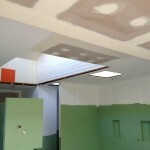 This project involved large scale refurbishment and alterations to an existing kindergarten and maternal health centre. 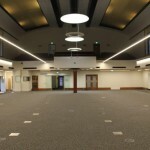 Works include total internal refurbishment works with new internal finishes throughout the two buildings, as well as new fixtures and fittings. 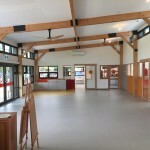 Works also include new external works including refurbishment of the existing tiled roof, the construction of a new Modwood decking to help link the two buildings, as well as various other landscaping works. 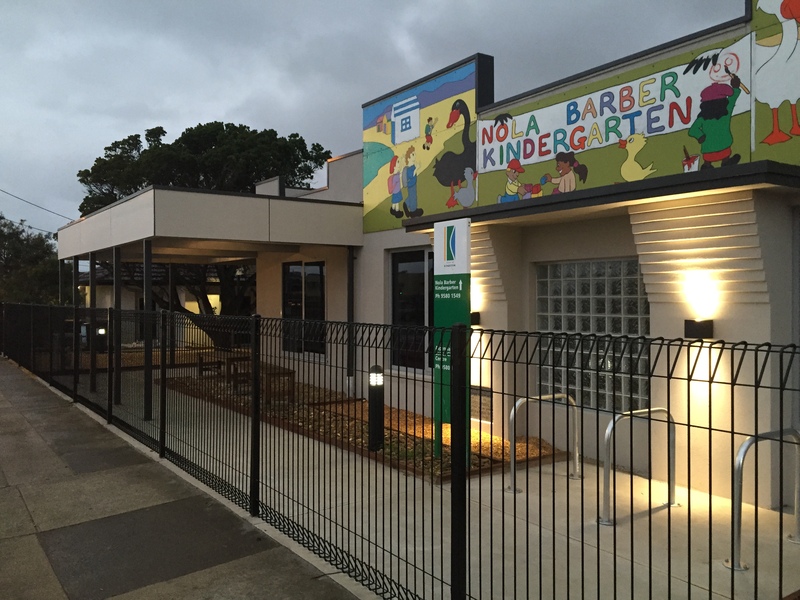 Fercon were able to successfully fast track the delivery of this project in conjunction with Kingston City Council in order for the centre to be ready for the beginning of the 2016 kindergarten year. 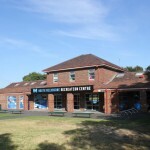 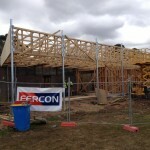 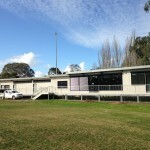 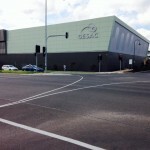 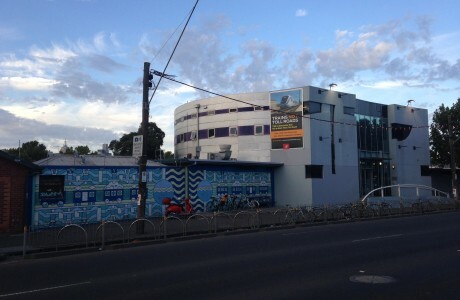 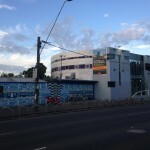 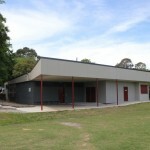 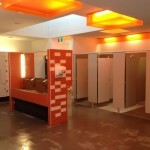 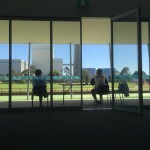 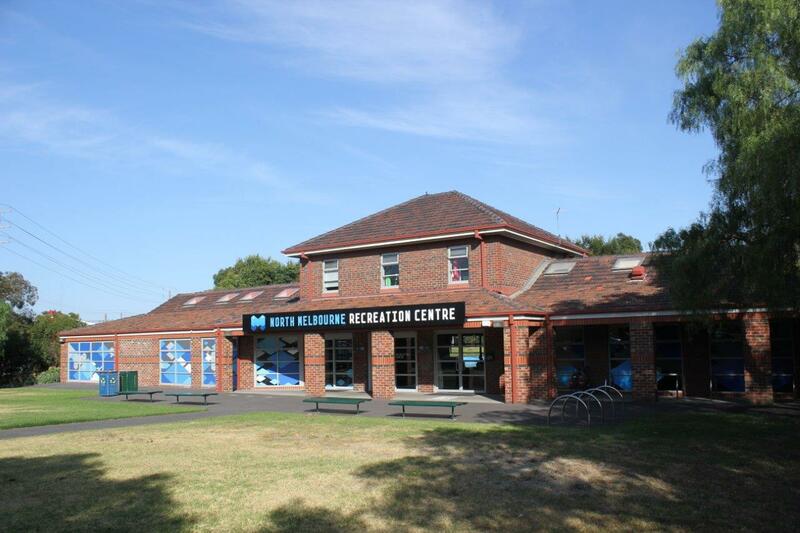 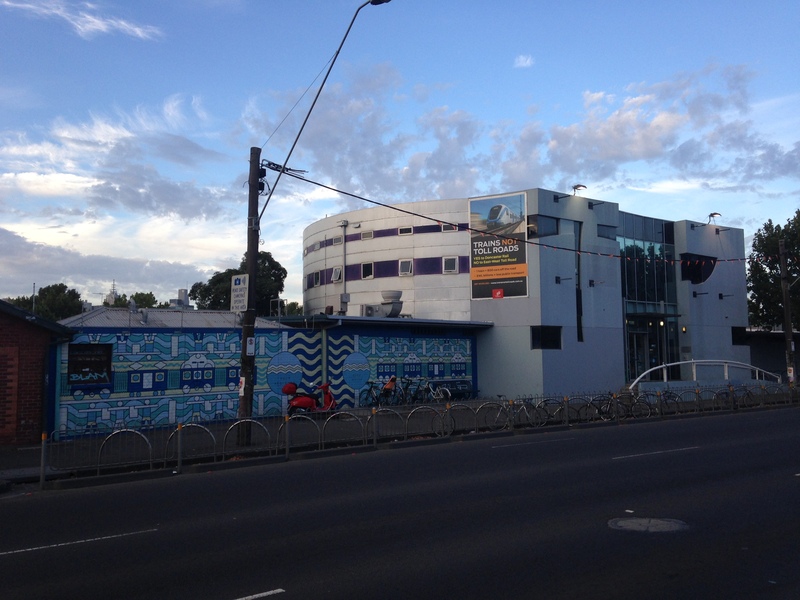 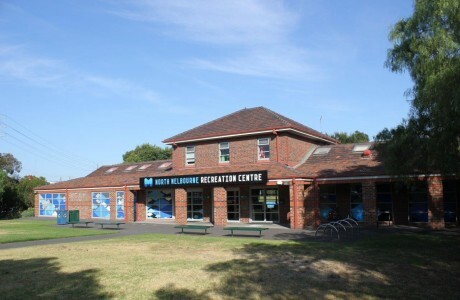 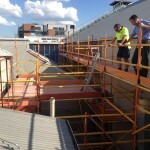 Fercon were awarded the contract for the refurbishment and extension of the existing North Melbourne Recreation Centre. 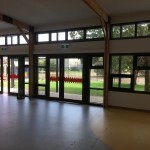 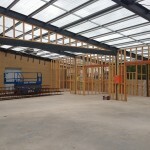 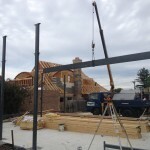 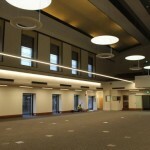 Construction included the demolition of the existing building and structural alterations and upgrade to allow the creation of clear-span areas. 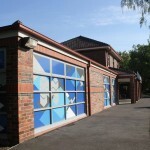 Works also included remediation of the existing façade, new glazing and door units and the introduction of extensive window signage and architectural finishes. 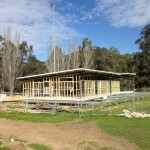 Fercon were awarded the contracts to carry out Stages 1 & 2 of the construction of the Simms Road Oval Pavilion, on the banks of the Plenty River in Montmorency. 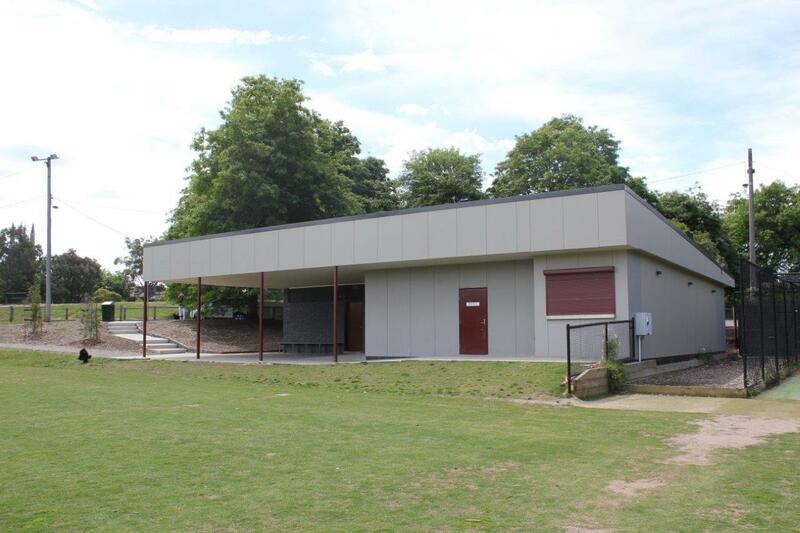 Featuring many ESD principles, as well as design protocols to suit the location of the pavilion within a flood zone, the building featured a suspended concrete slab on a steel sub-floor, Exotec cladding, and Kingspan insulated panel roofing. 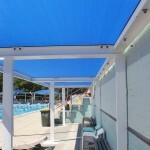 Roof mounted solar hot water collectors were also installed to minimise the amount of energy required to provide hot water to the pavilion. 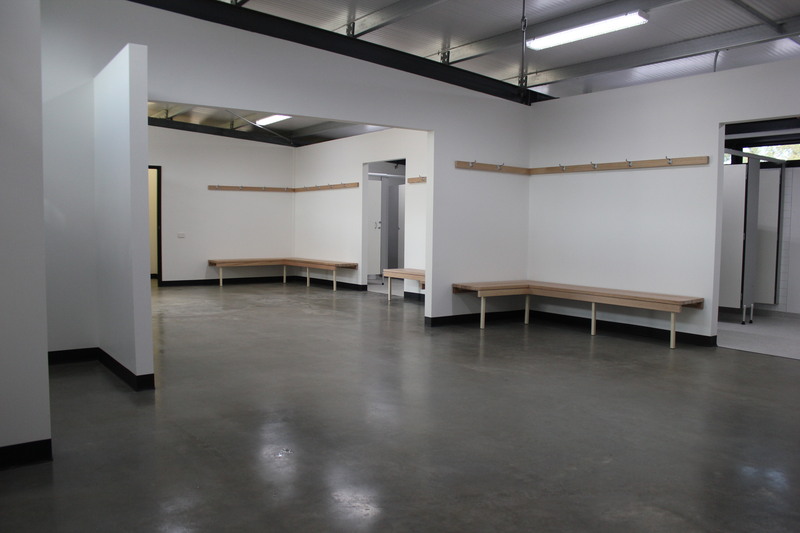 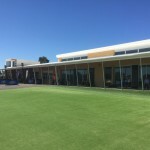 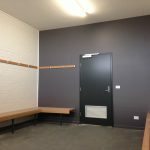 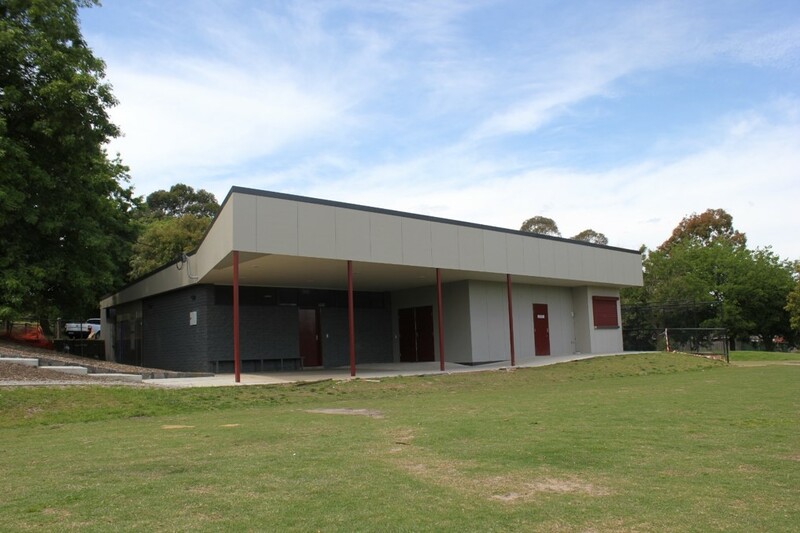 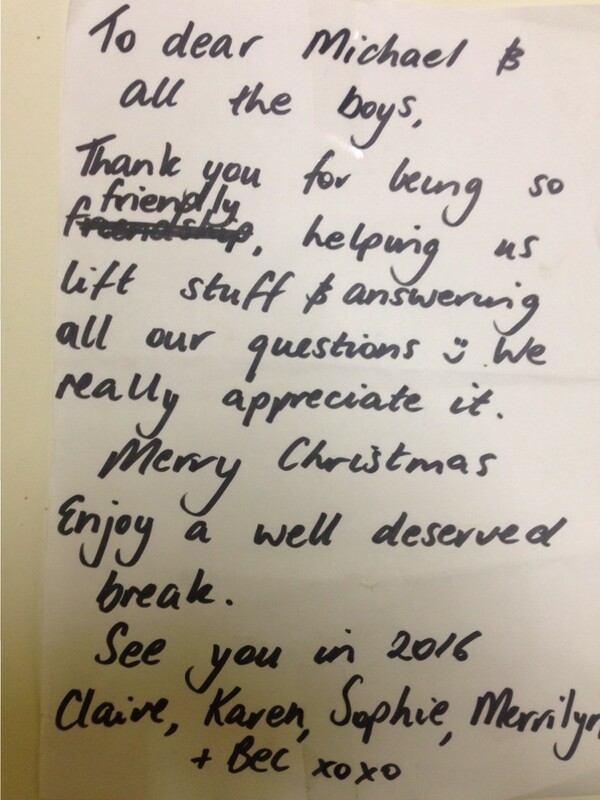 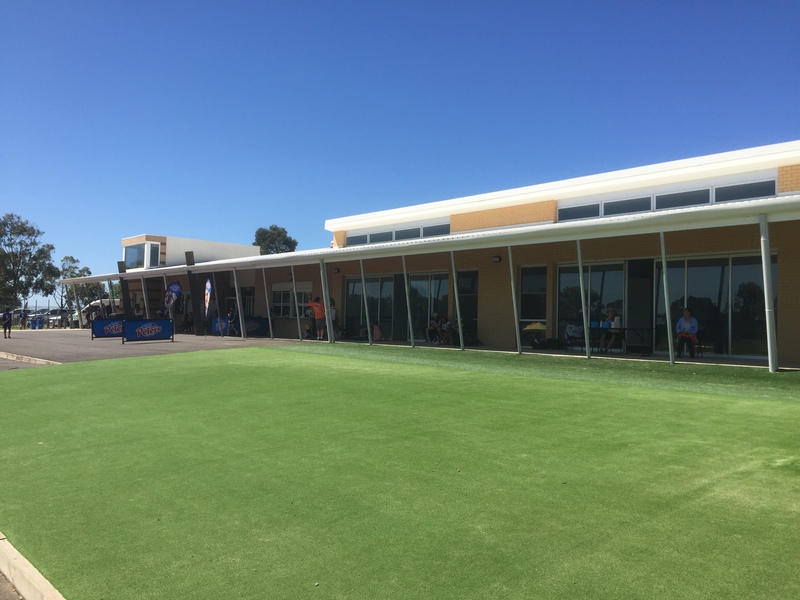 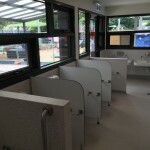 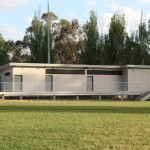 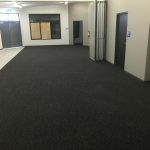 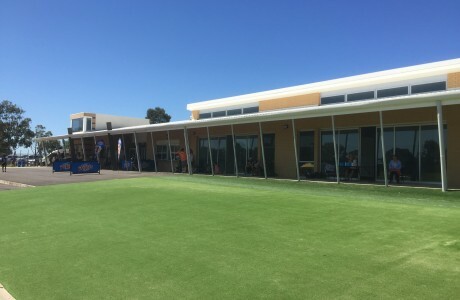 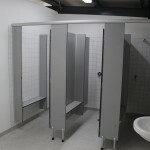 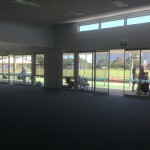 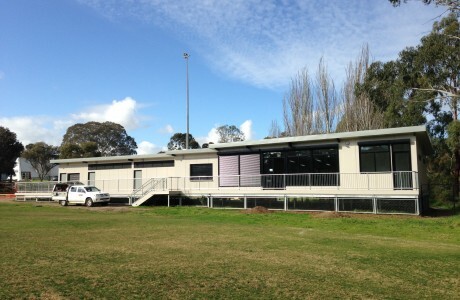 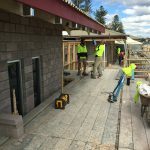 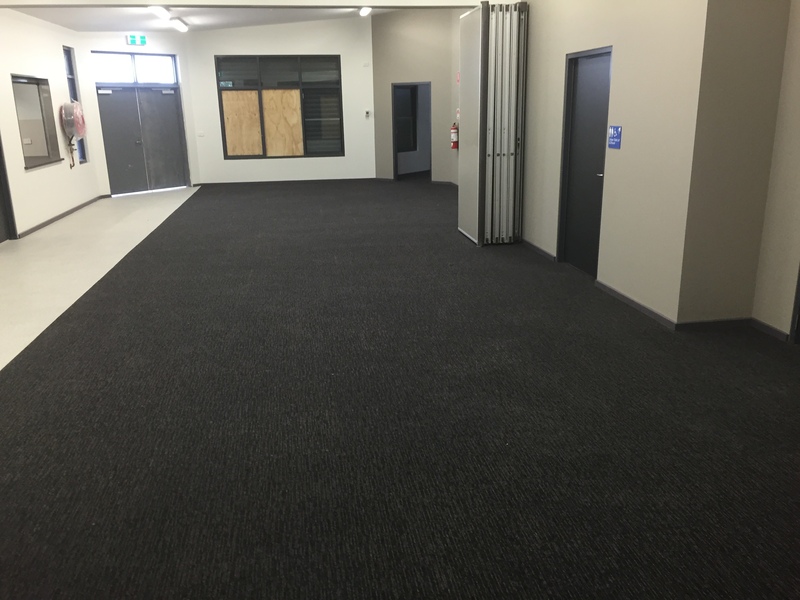 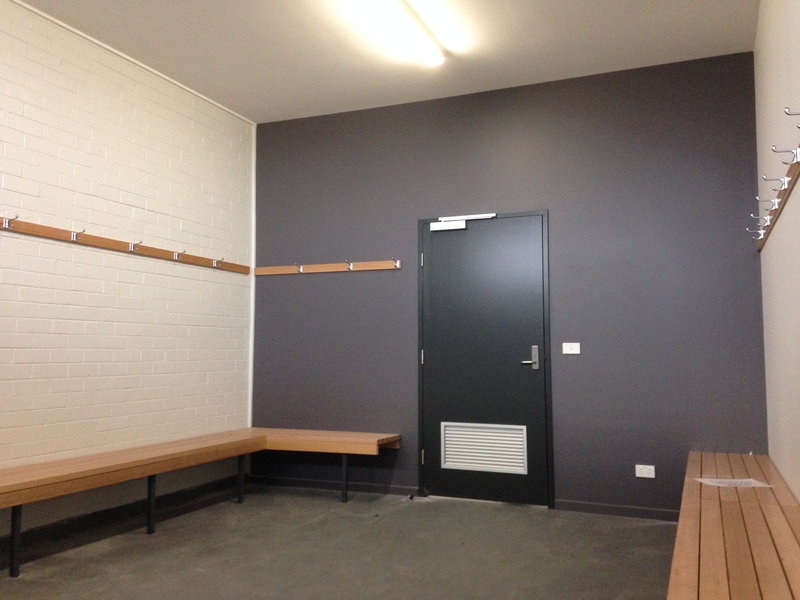 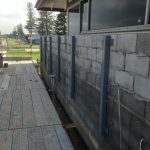 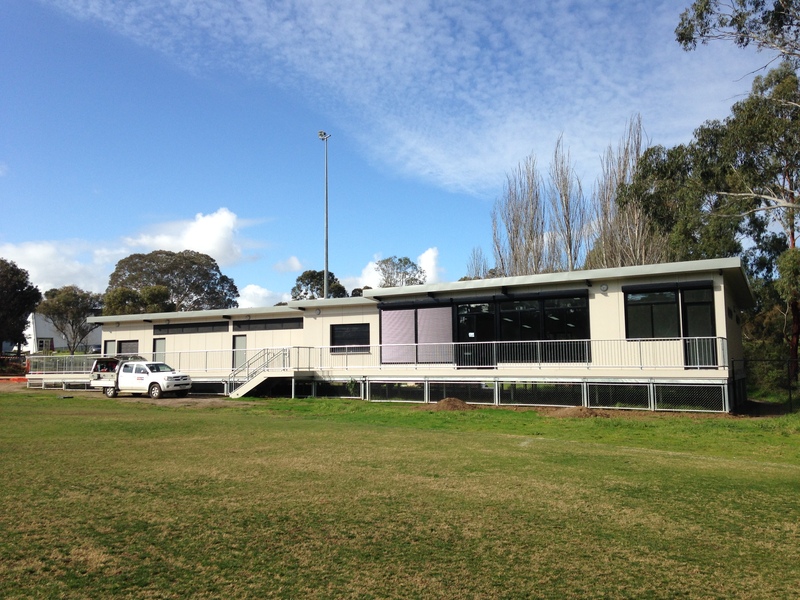 The project was staged to allow the Montmorency Junior Football Club access to the change rooms, amenities and kitchen areas, whilst the social room and meeting room were constructed. 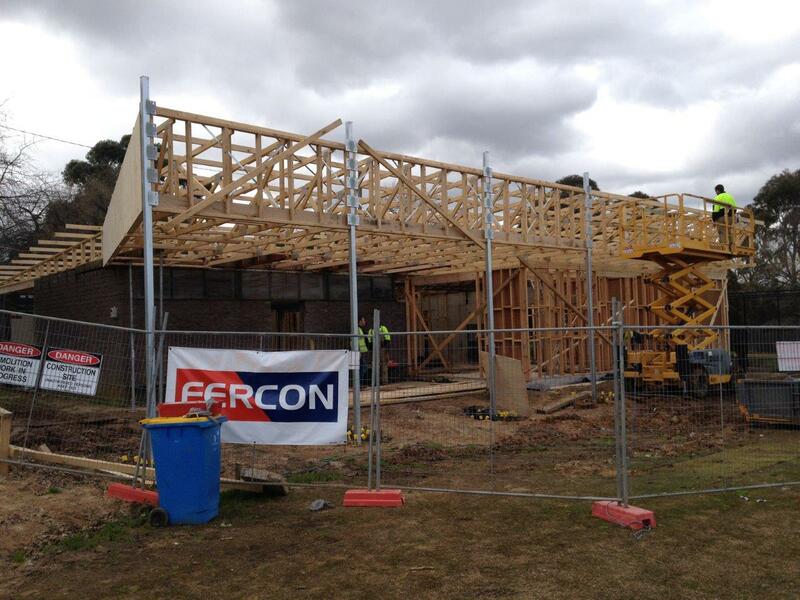 Fercon worked in close consultation with Council and the football club to ensure that our Stage 2 construction works impacted the operations of the club as little as possible. 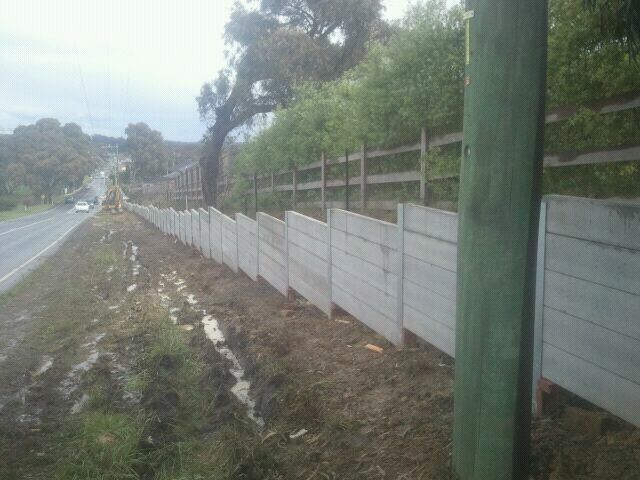 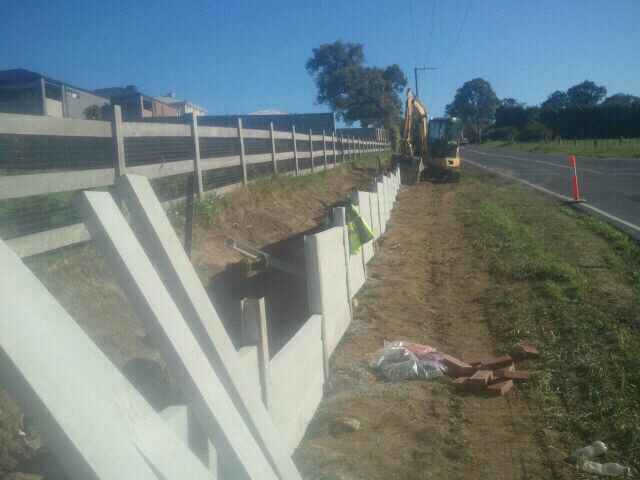 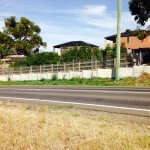 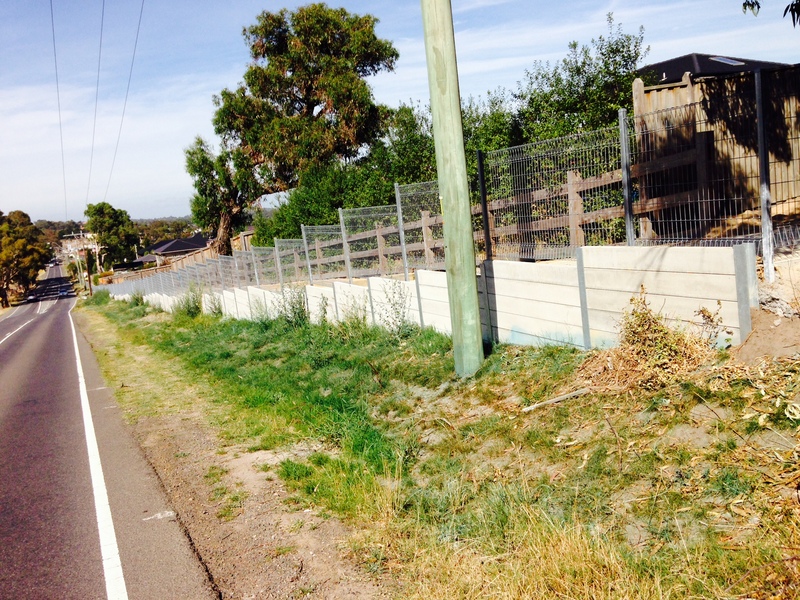 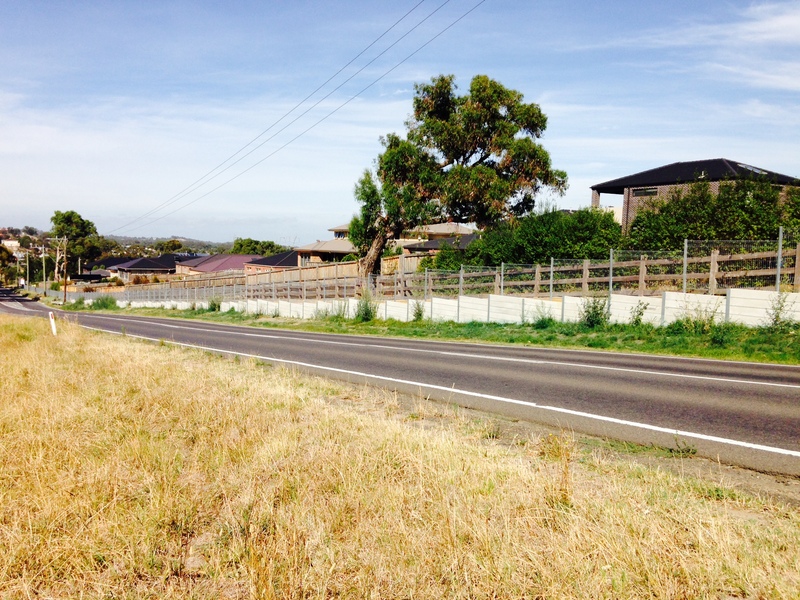 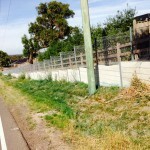 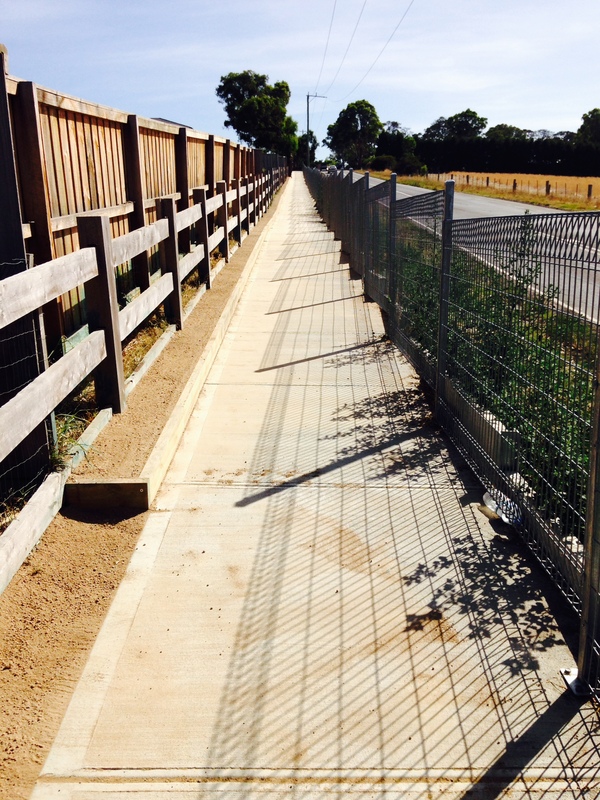 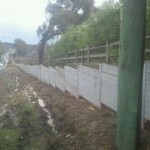 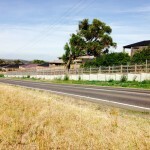 Construction of a new footpath and earth retaining wall system along Yan Yean Road; connects the busy area between Cookes Road and Timbertop Drive in Doreen. 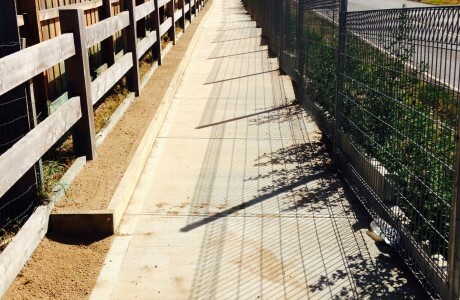 Fercon’s work involved 600m3 of bulk and detailed excavation to compliment the contours of the land in preparation of a new 350 metre length textured concrete sleeper retaining wall at 1.6m max height and 1,100m2 of new concrete pavement construction. 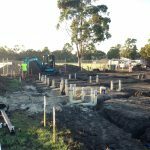 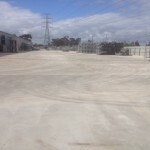 1,700m2 of landscaping and shaped battering are tribute to one of the newest developing areas in the Whittlesea City Council.